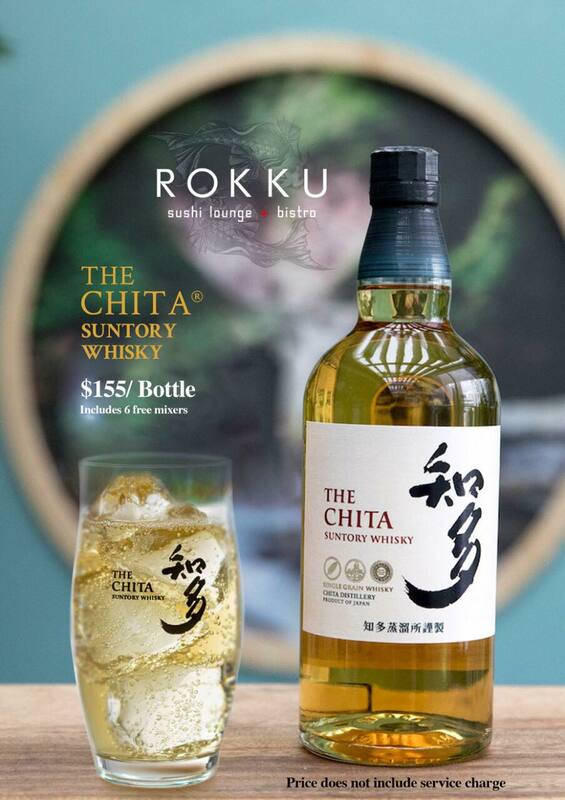 The Chita Single Grain Whisky is exquisite and delicious. 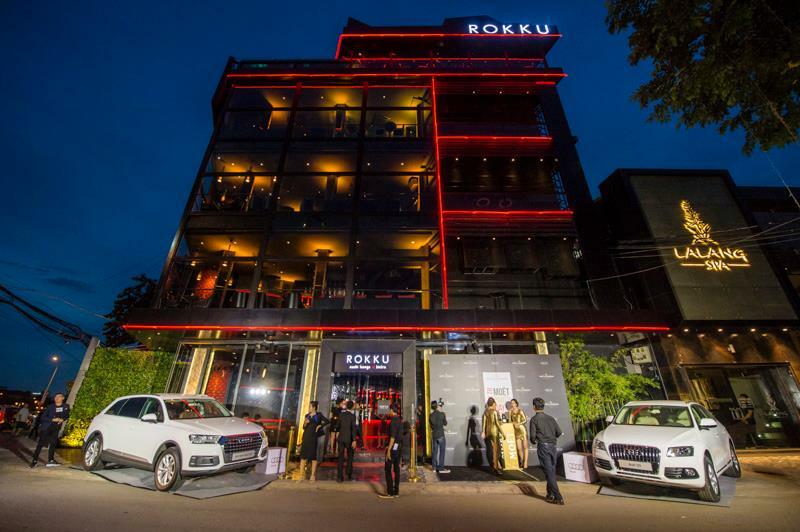 Experience the Art of Japanese Whisky at Rokku. 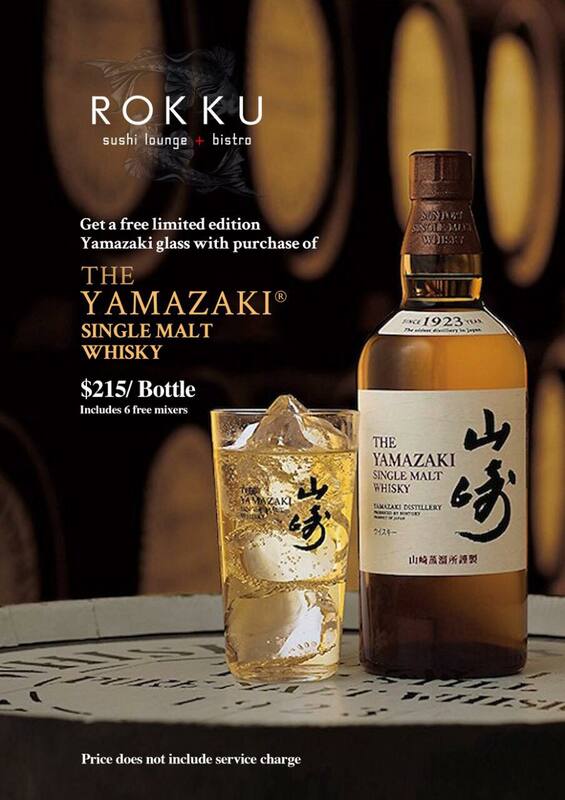 Get a free limited edition Yamazaki glass with purchase of a bottle of The Yamazaki Single Malt Whisky. 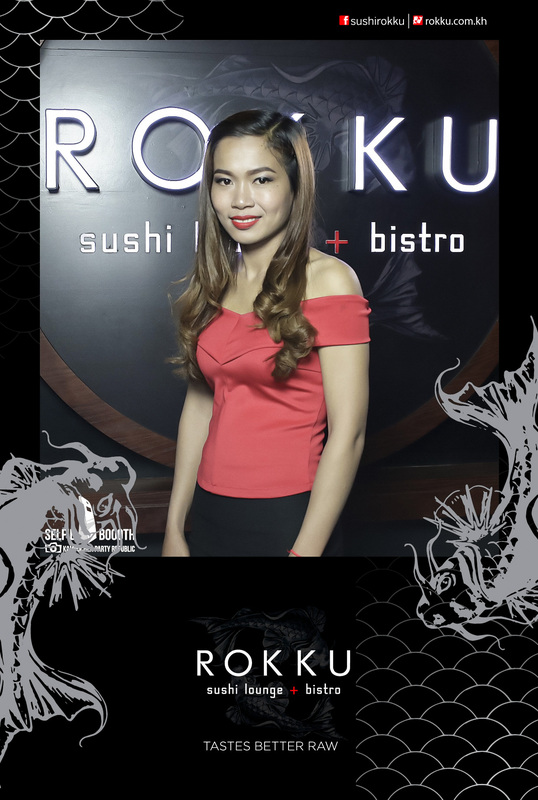 Only at Rokku and while supplies last! 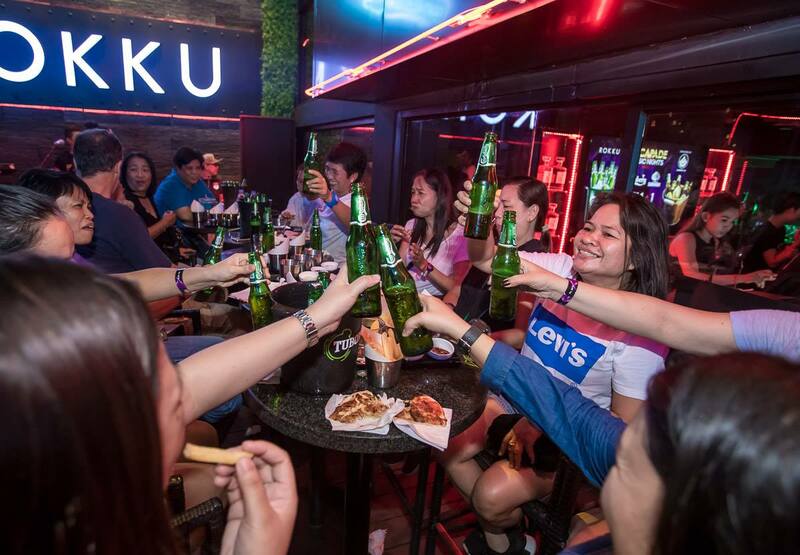 Now for a limited time, enjoy Buy 1 + 1 Buckets of Tuborg, Guinness and Carlsberg Beer at Rokku. 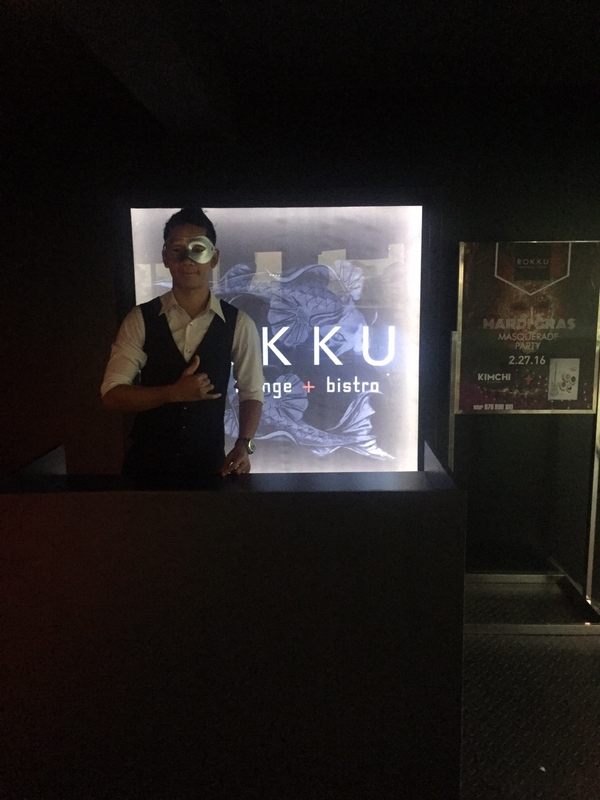 Available Mon - Thur from 5pm until close. 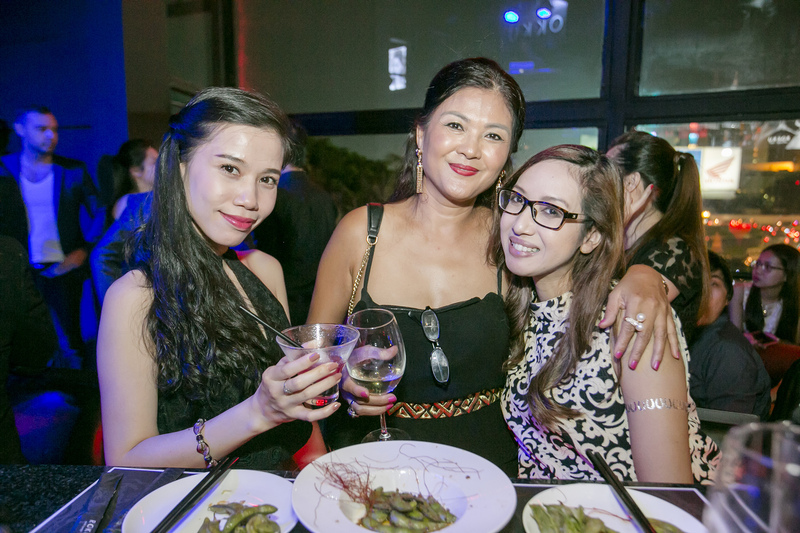 Photos from our NYE event!! 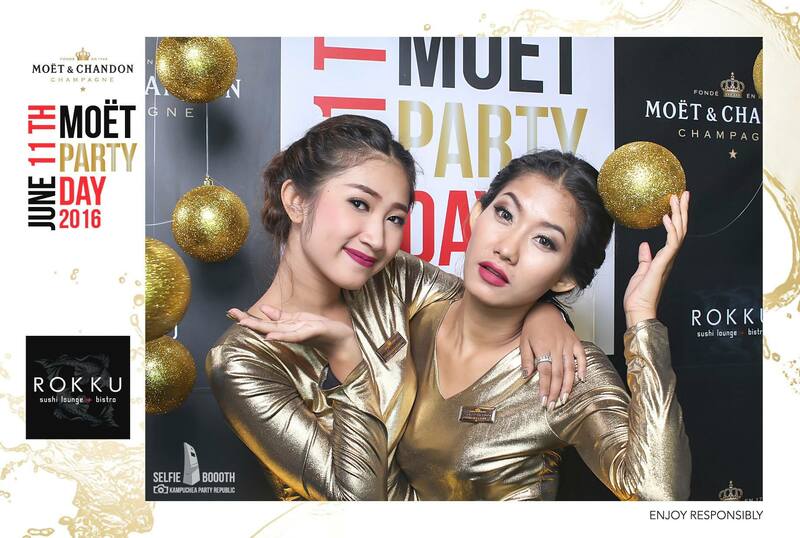 We hope you all had a magical, unforgettable night. 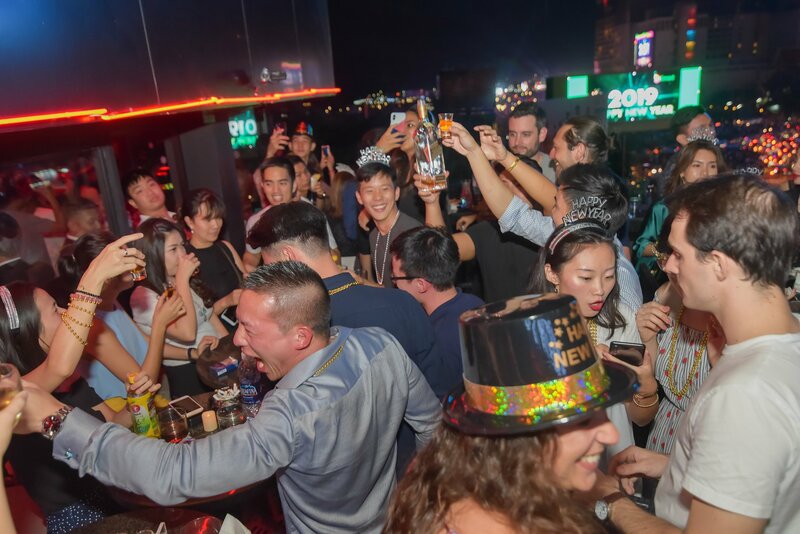 Cheers to 2018! 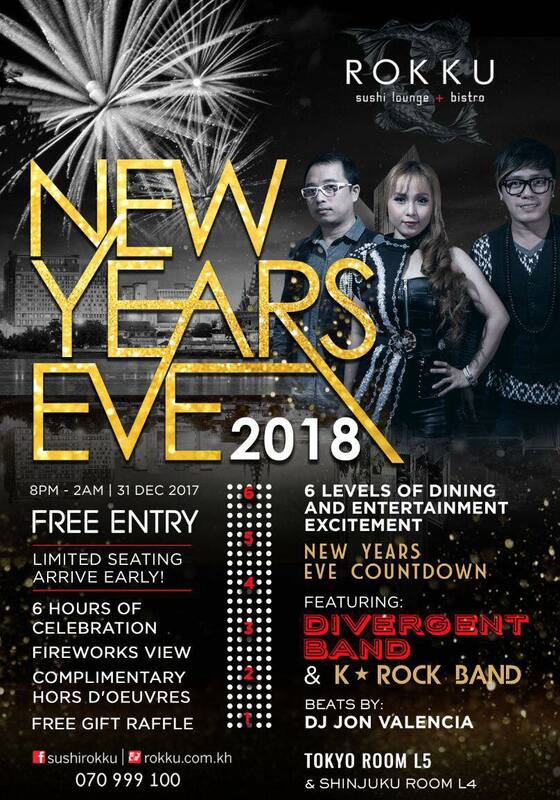 Celebrate NYE 2018 at Rokku and experience 6 levels of dining and entertainment excitement. 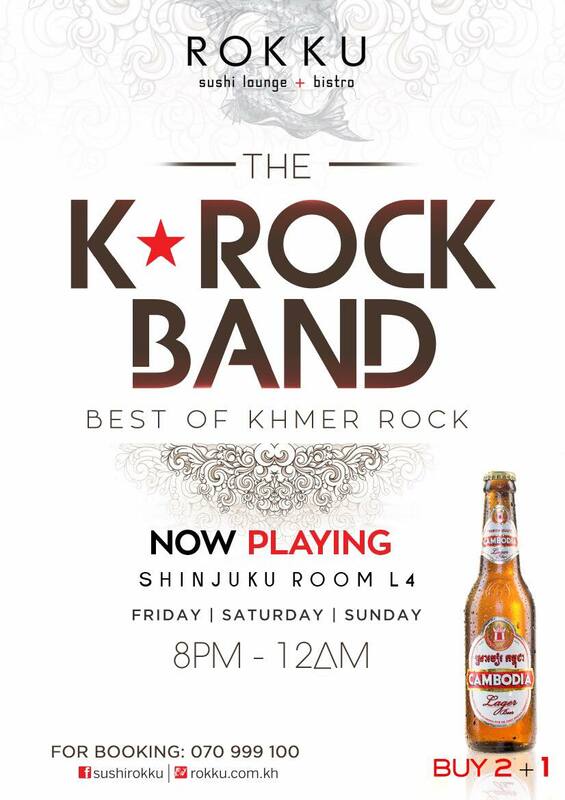 Divergent Band and DJ Jon Valencia at the Tokyo Room on L5 + Khmer Rock Band and DJ Santana at the Shinjuku Room on L4. 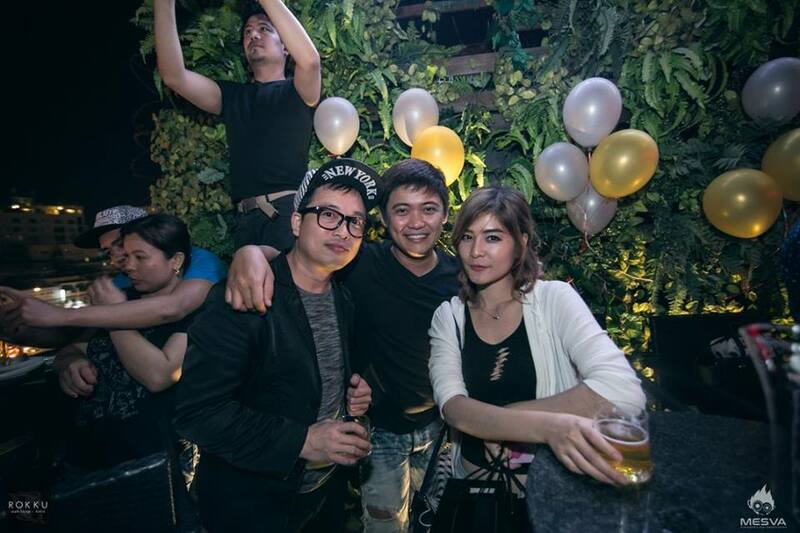 Private rooms and VIP tables available, book today at 070 999 100. 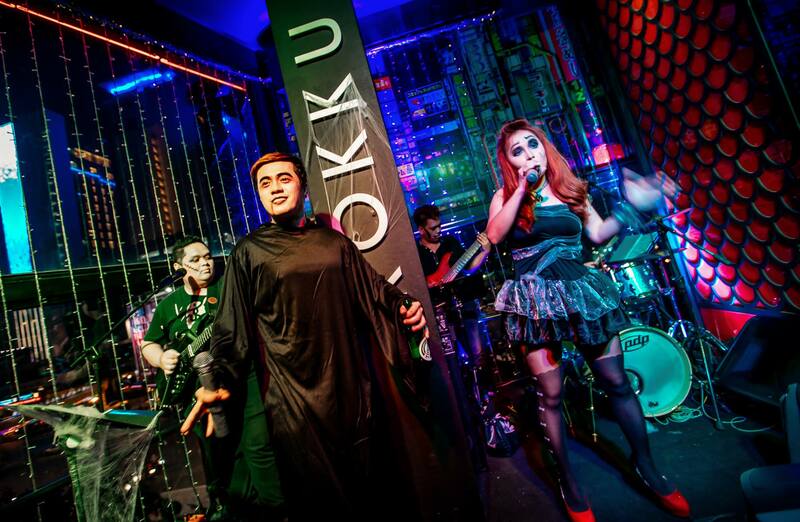 Flashback to our spooky Halloween MusicFest on October 30th - 31st! 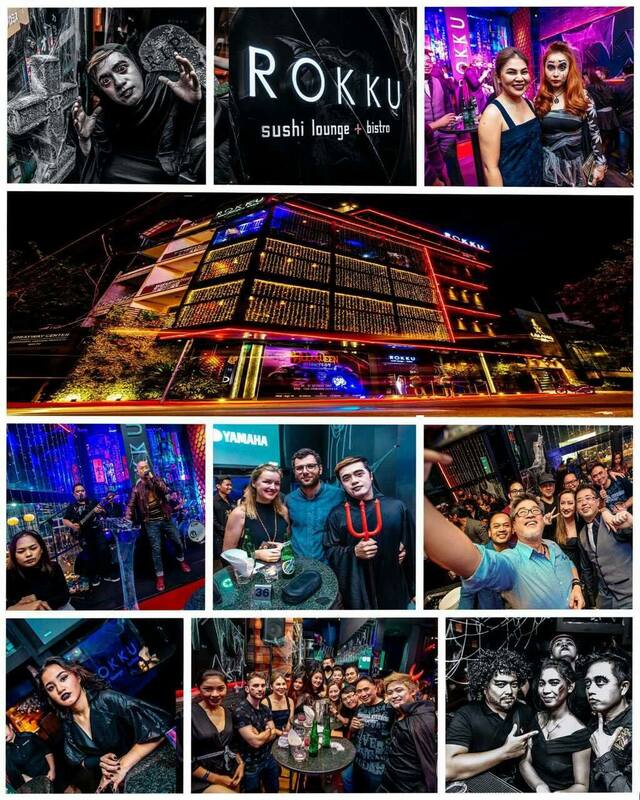 Full album to be posted soon. 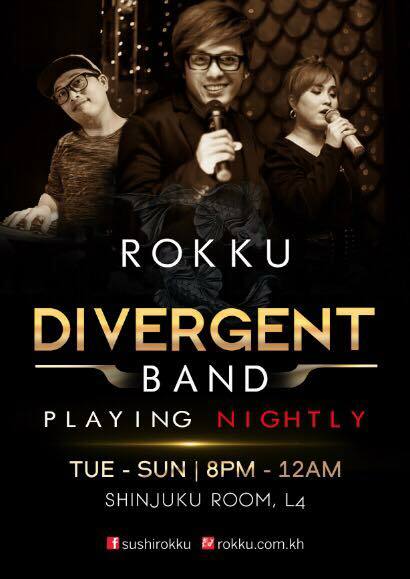 The Divergent Band now playing at the Rokku Shinjuku Room. 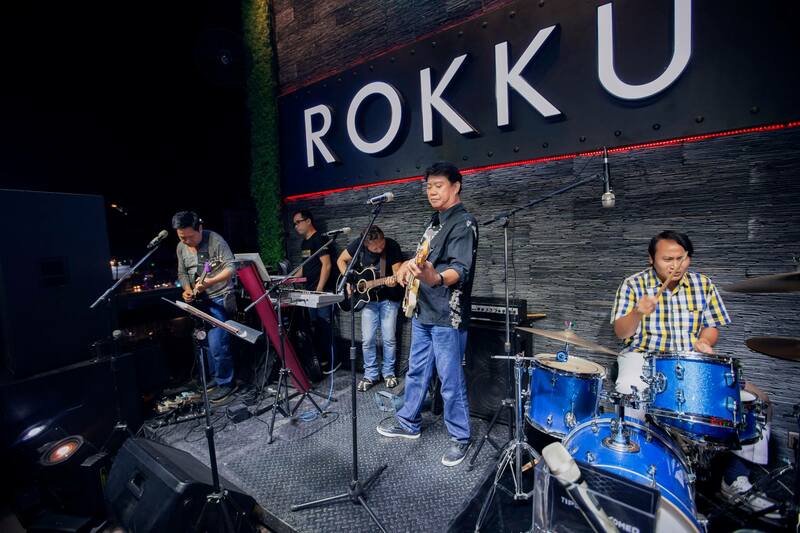 Come enjoy some of the best hits and specials requests live Tue - Sun, 8pm - 12 Midnight. 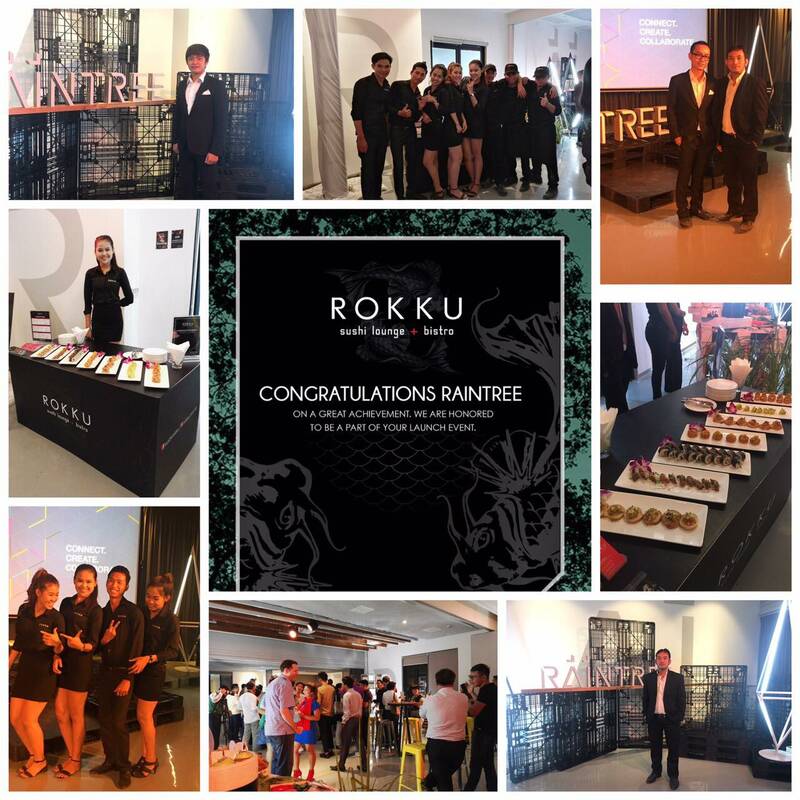 A special thanks to InterNations for choosing Rokku again for the 10th Anniversary Party. 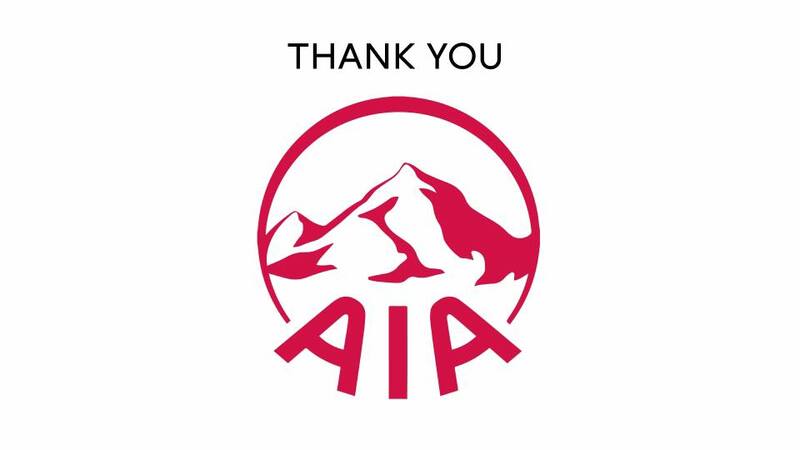 It was our pleasure and privilege. 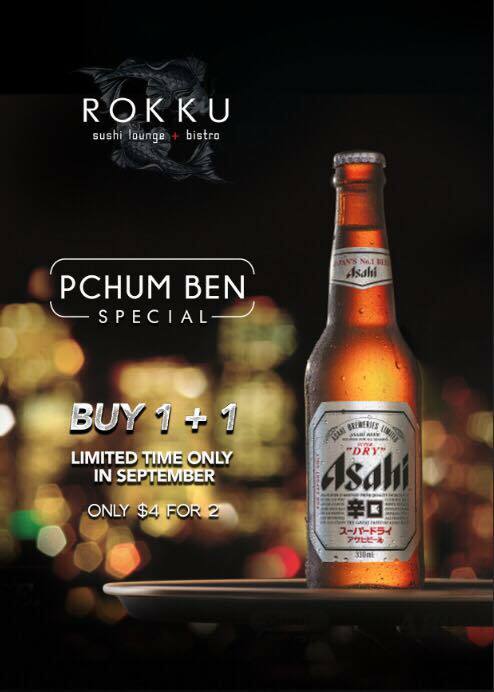 Now for a limited time offer ~ Buy 1 + 1 Asahi Beer. 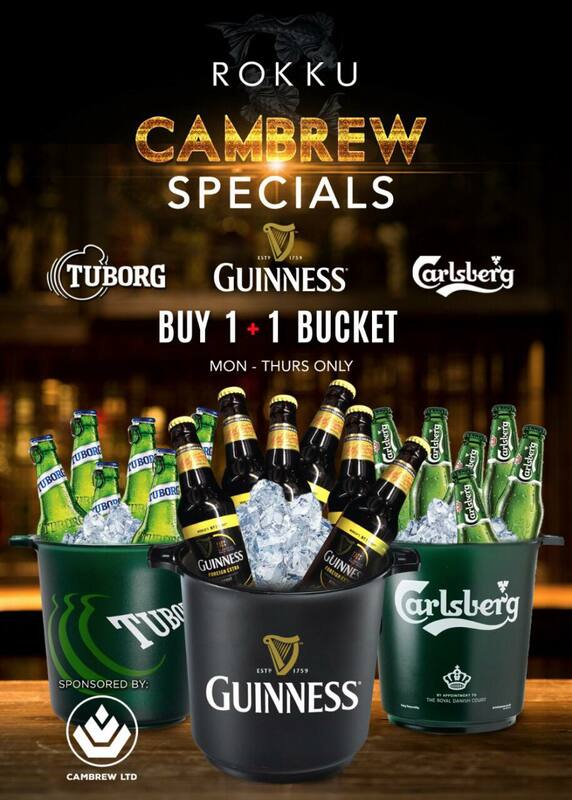 Get 2 for only $4. 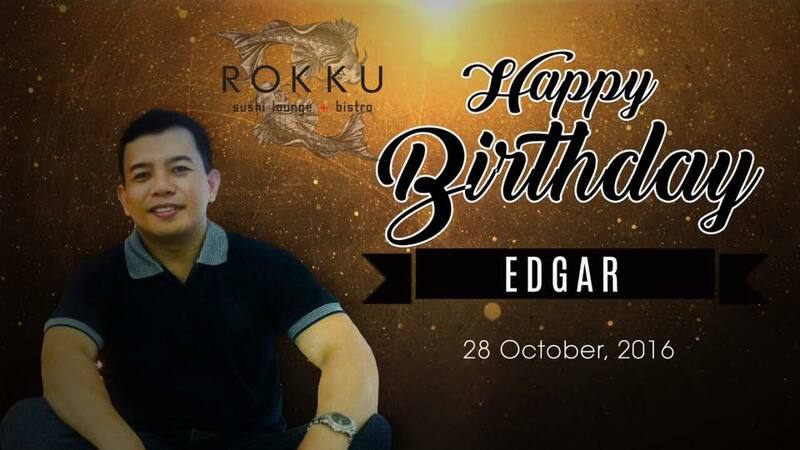 Available everyday during September while supplies last! 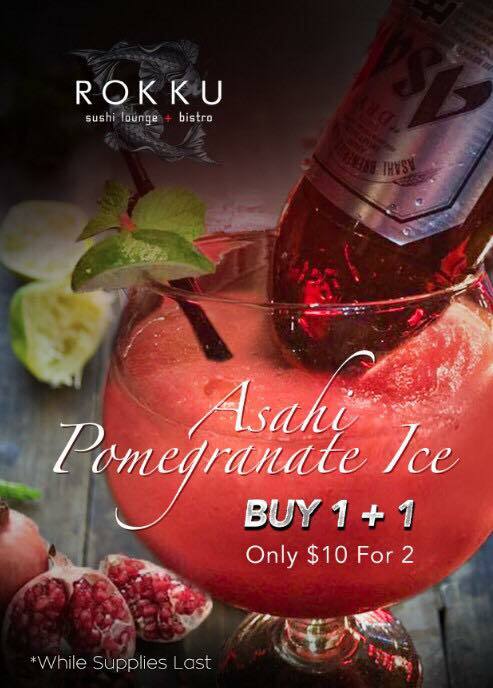 Back by popular demand ~ Buy 1 + 1 for the Asahi Pomegranate Ice large cocktail. 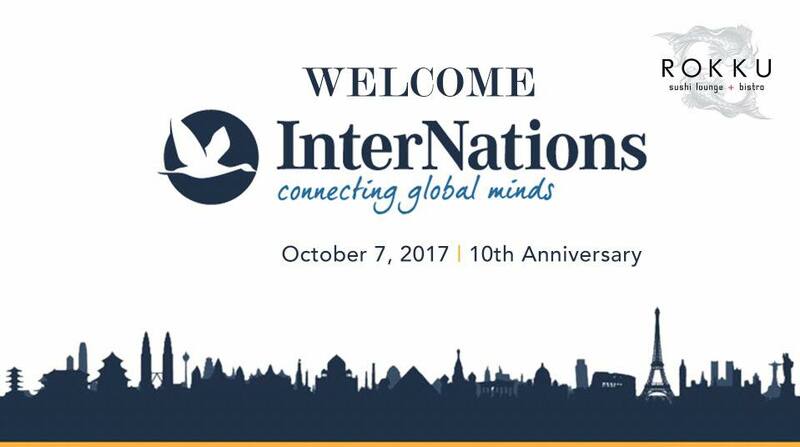 Only $10 for 2 and available September while supplies last. 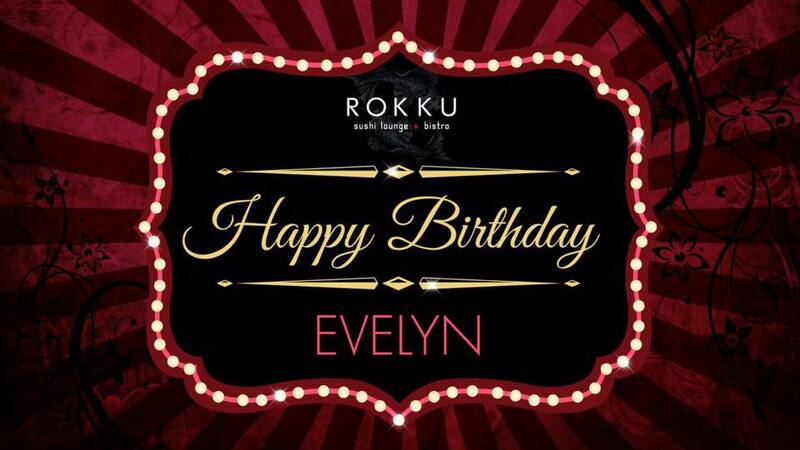 Wishing you a very Happy Birthday Evelyn! 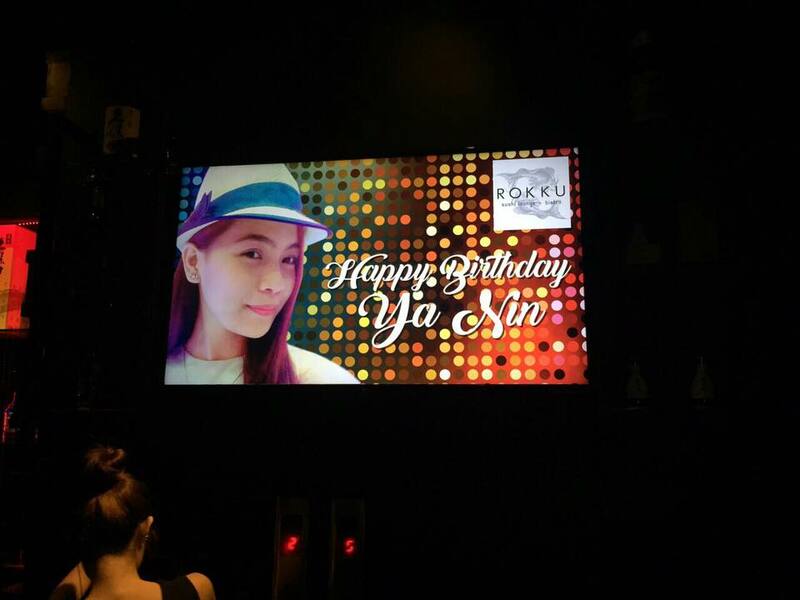 Thanks again for having your party at Rokku. 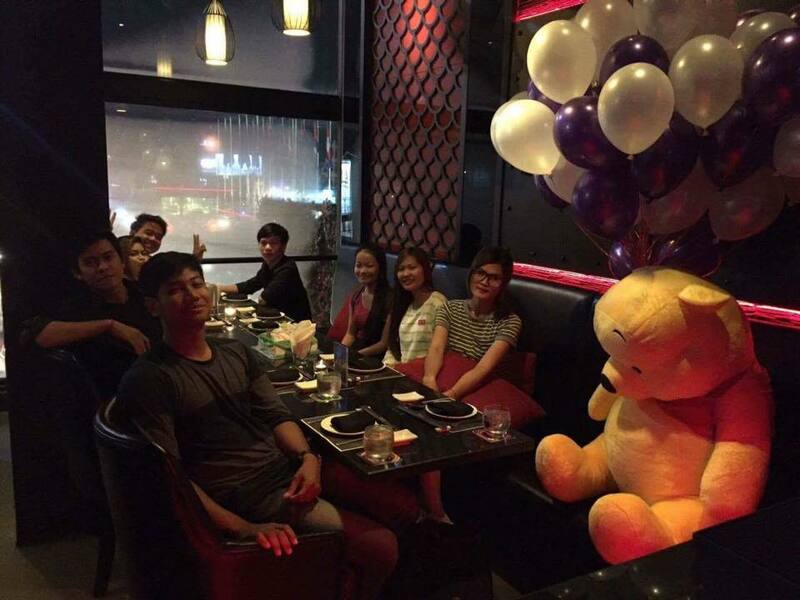 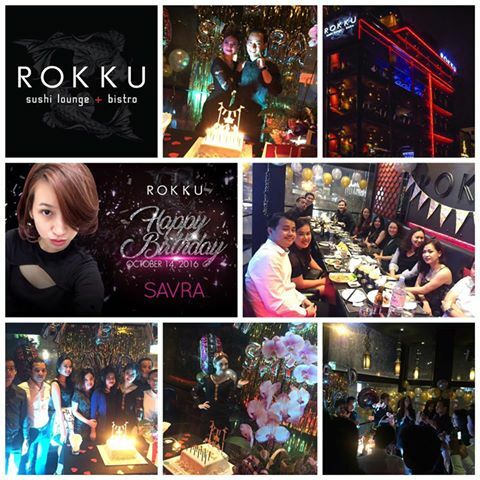 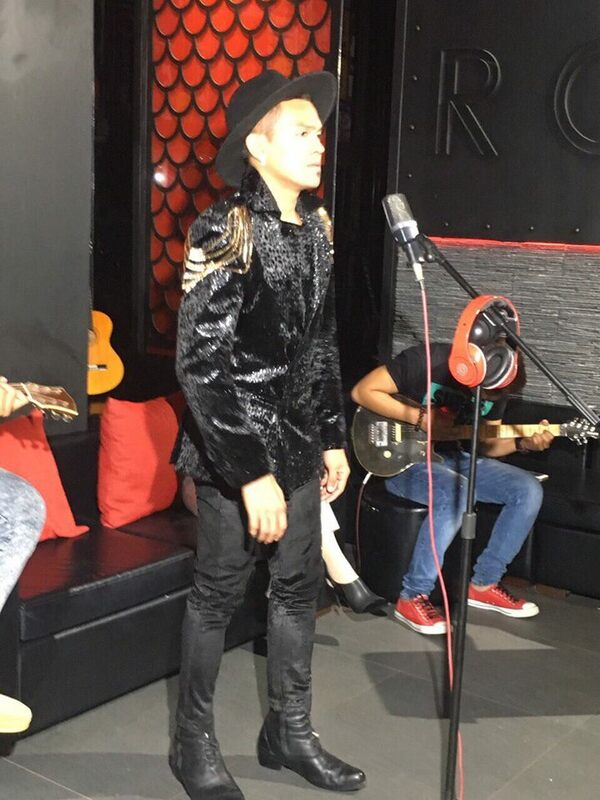 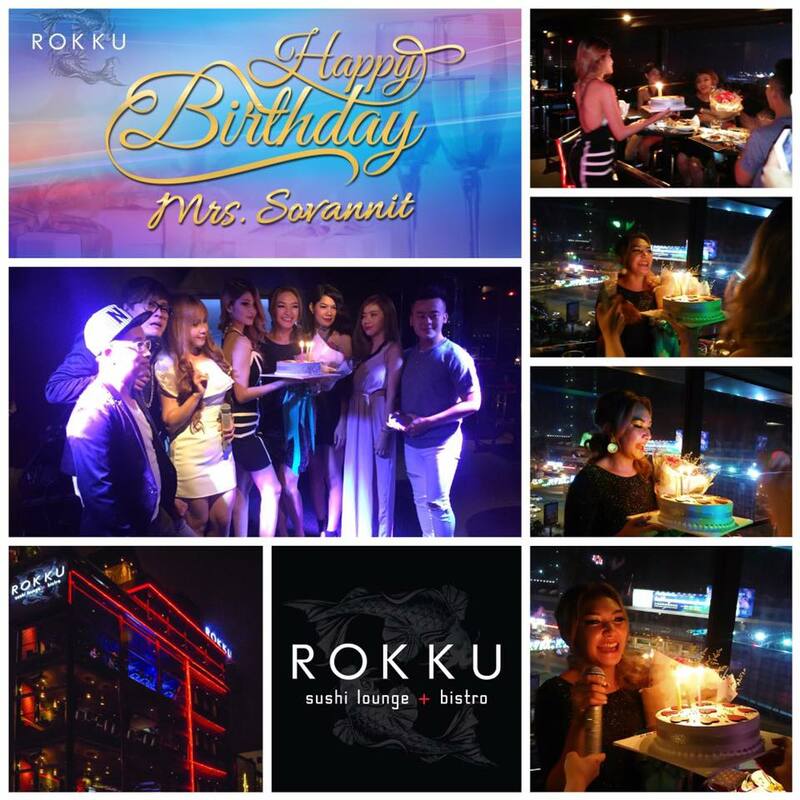 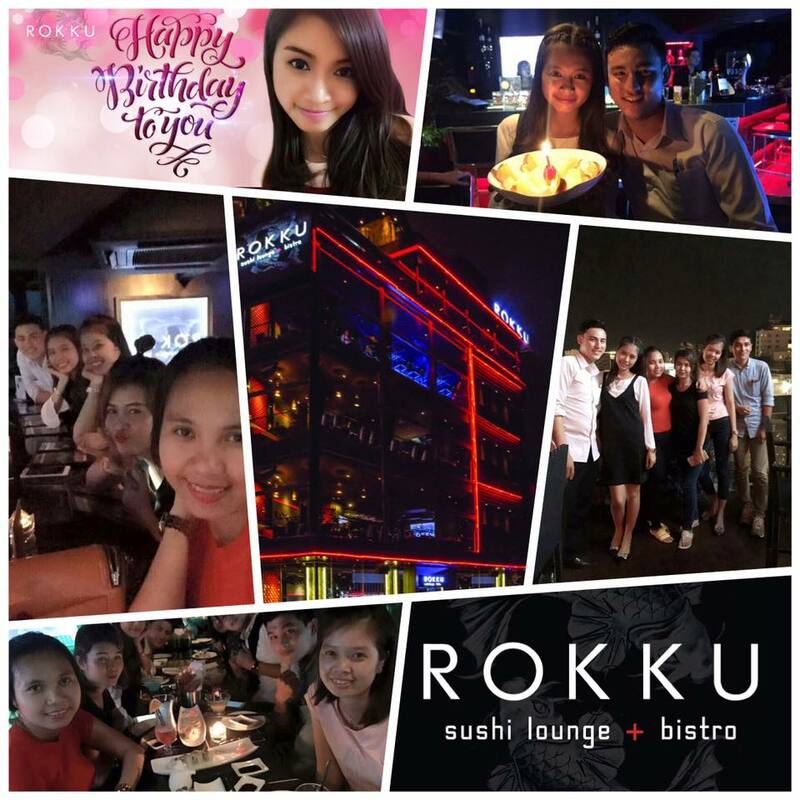 We are honored to have hosted your birthday party at Rokku and hope it was a memorable night. 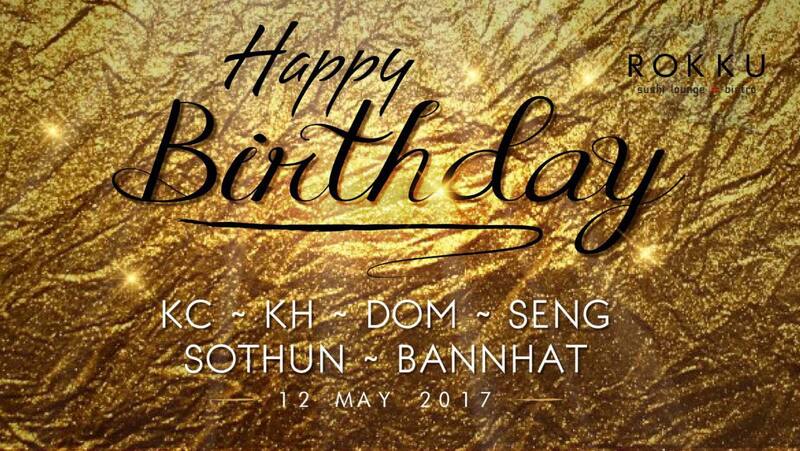 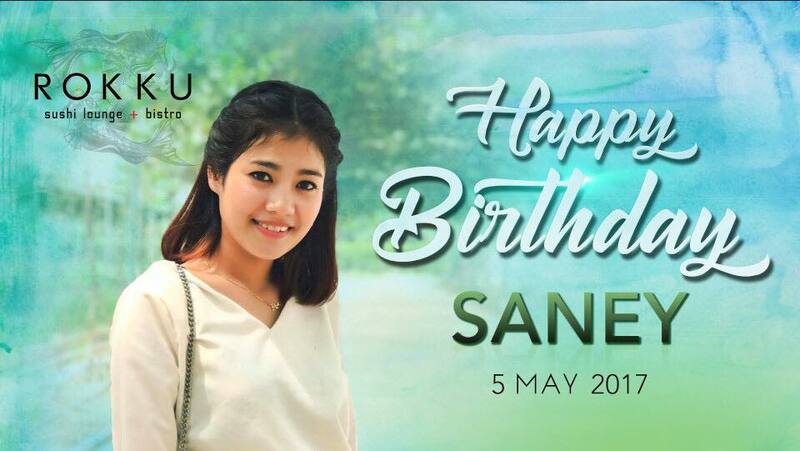 Once again ~ Happy Birthday! 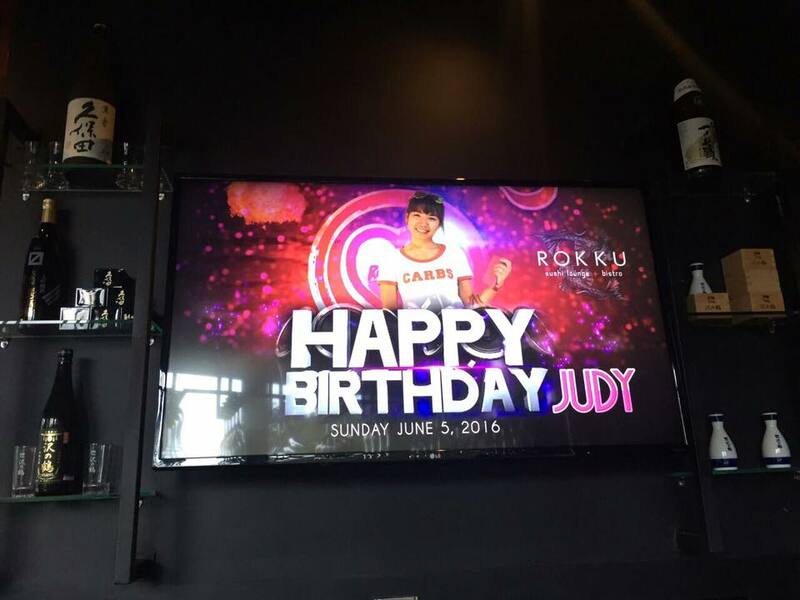 Crabfest on Sunday nights at Rokku. 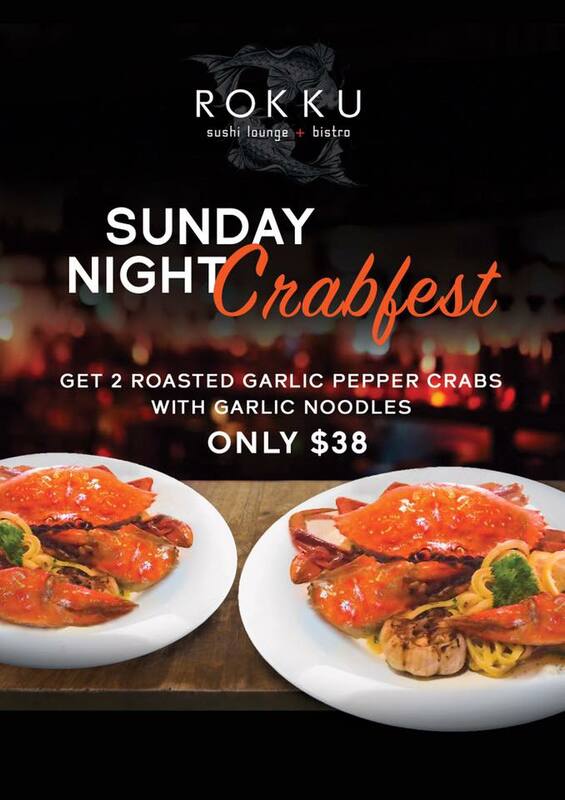 Only $38 for 2 Roasted Garlic Pepper Crabs with a side of Garlic Noodles. 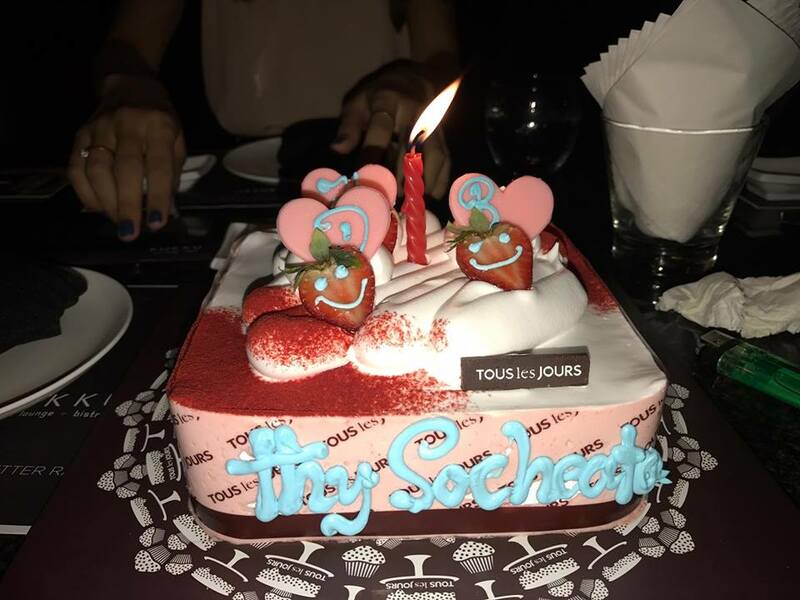 Super good! 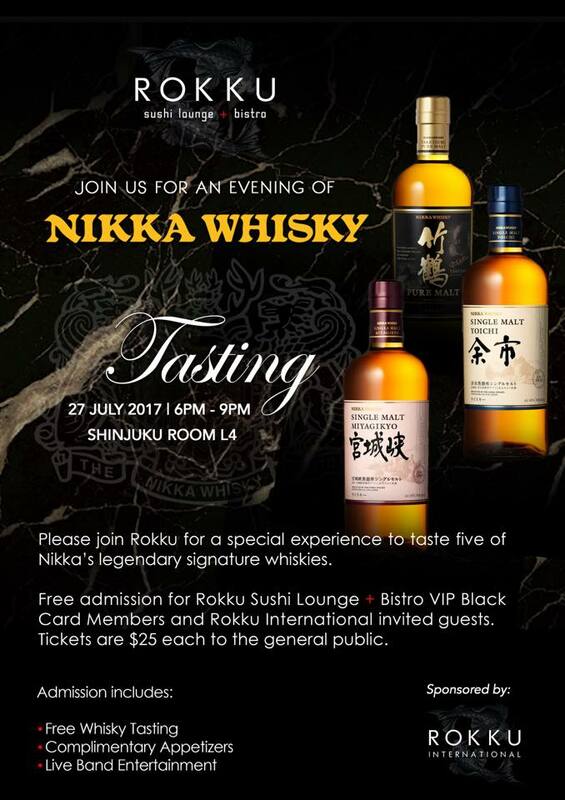 Friday Night Japanese Whisky Bar at Rokku is the night to taste three of the most legendary Nikka Whiskys ~ Yoichi, Miyagikyo and Taketsuru. 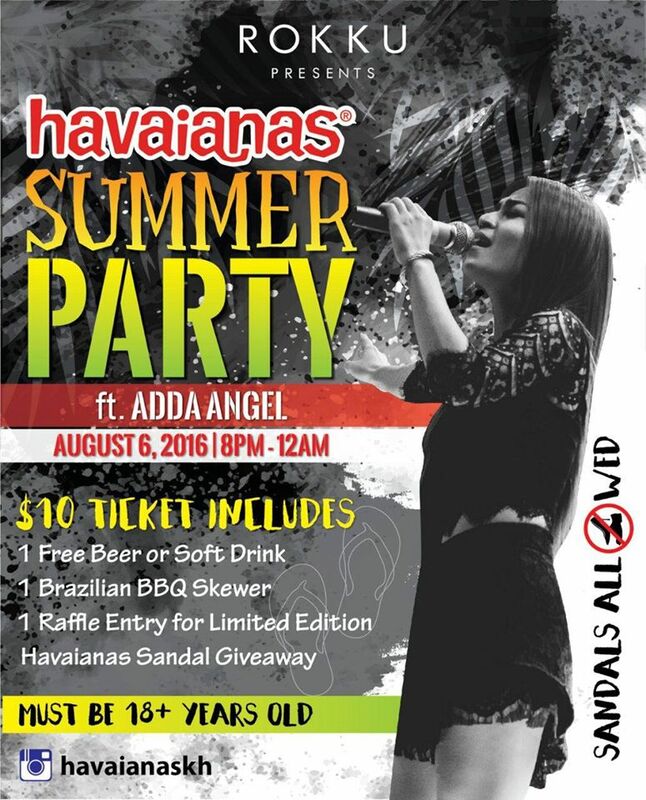 All three for only $18. 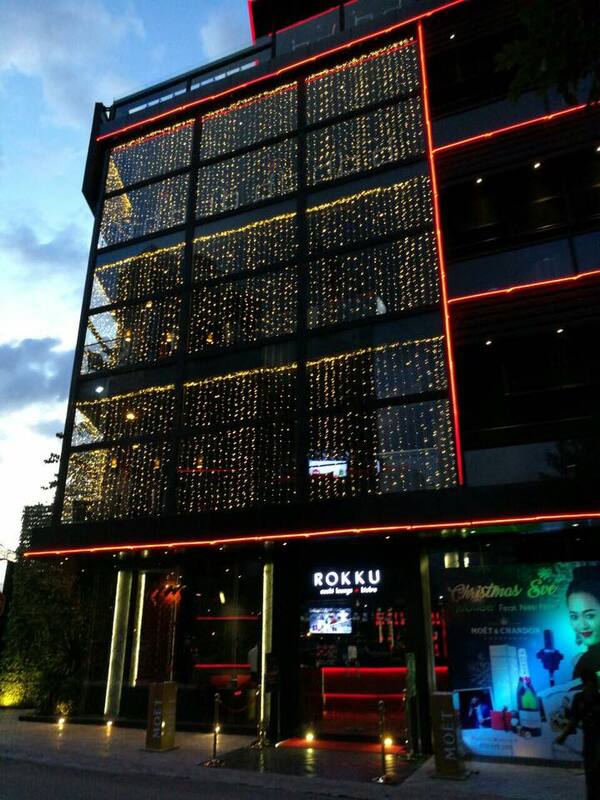 NEW at Rokku! 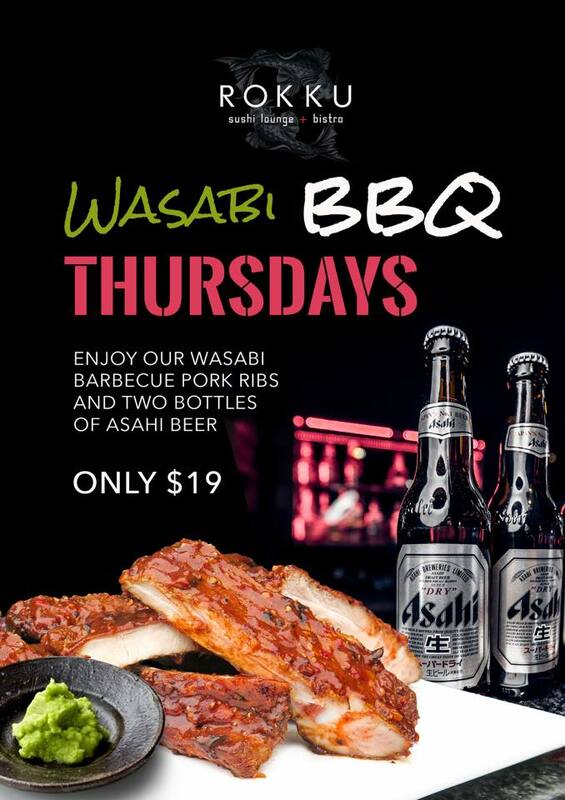 Wasabi Barbecue Pork Ribs marinated in our signature sauce. 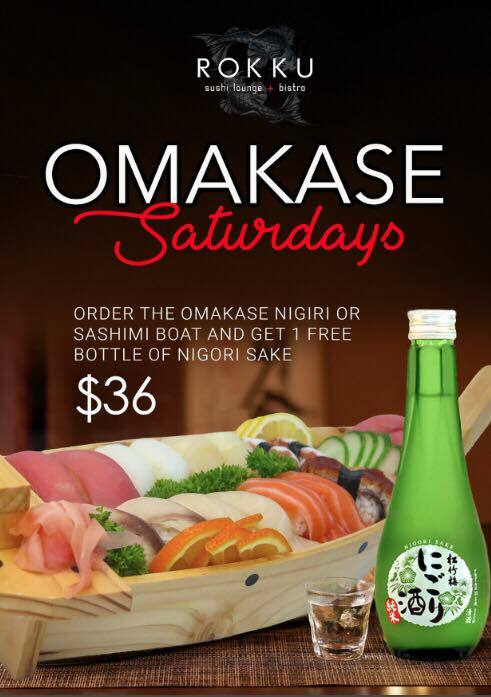 Try it with Asahi Beer today! 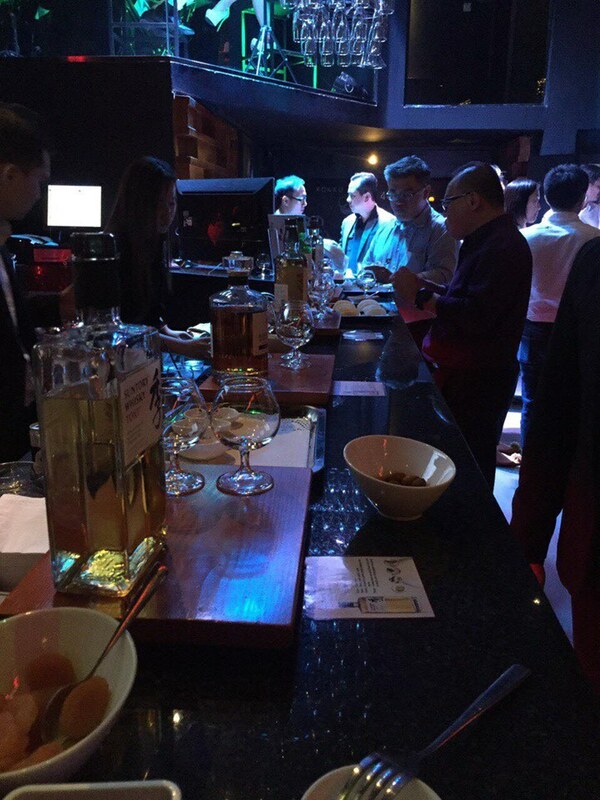 Two free bottles with every order. 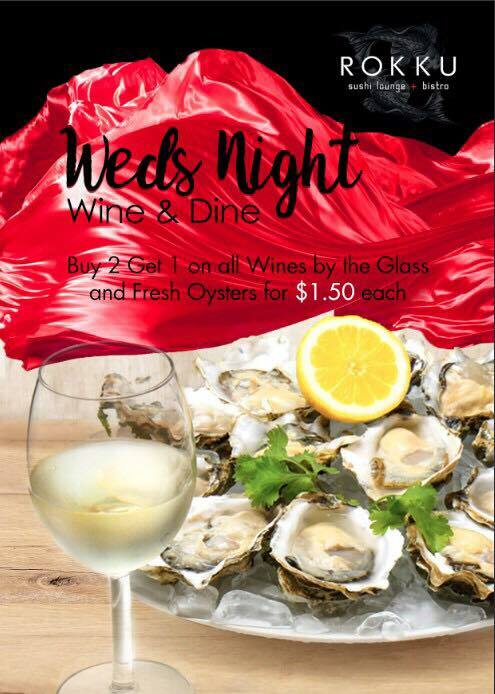 Wine and oysters anyone? 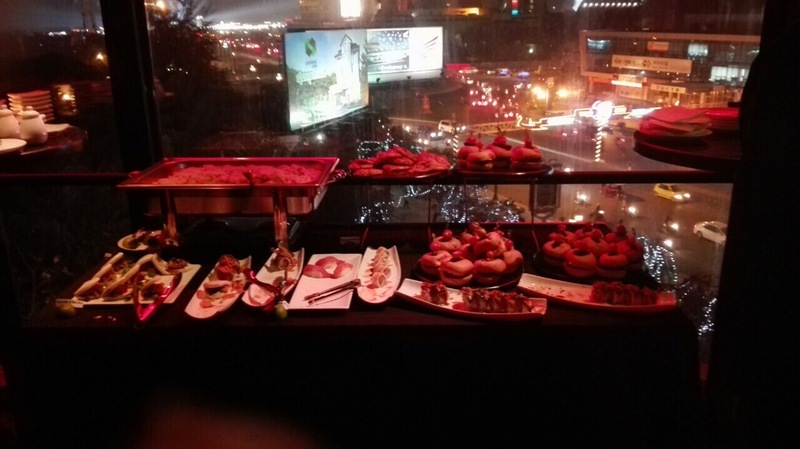 Join us for Weds Night Wine & Dine at your favorite chill place in the city. 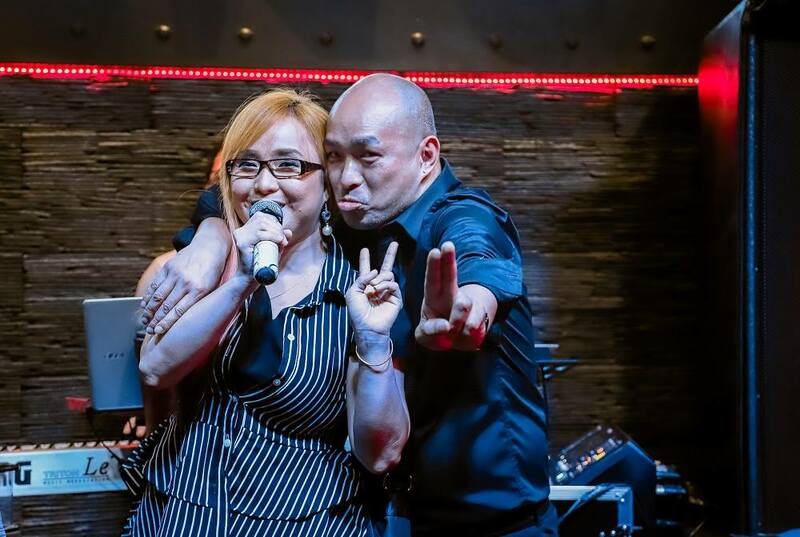 How about a little TNT on Tue? 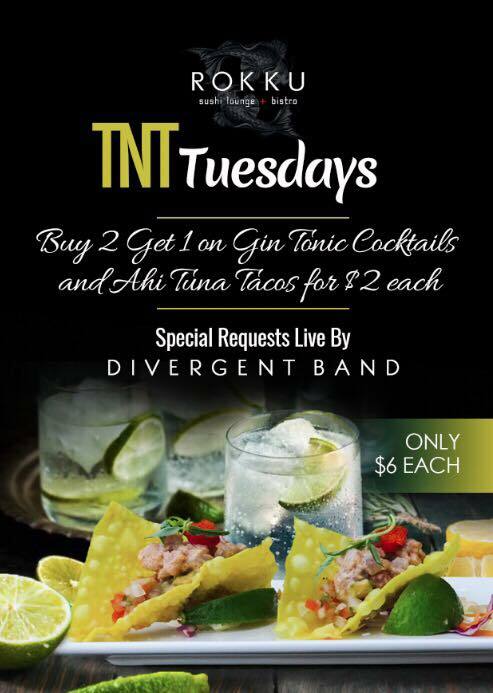 Buy 2 Get 1 on all Gin TONIC Cocktails and delicious Ahi Tuna TACOS for only $2 each. 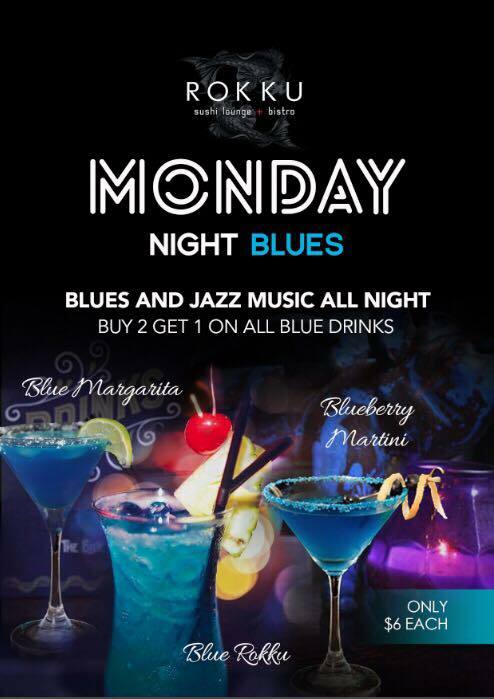 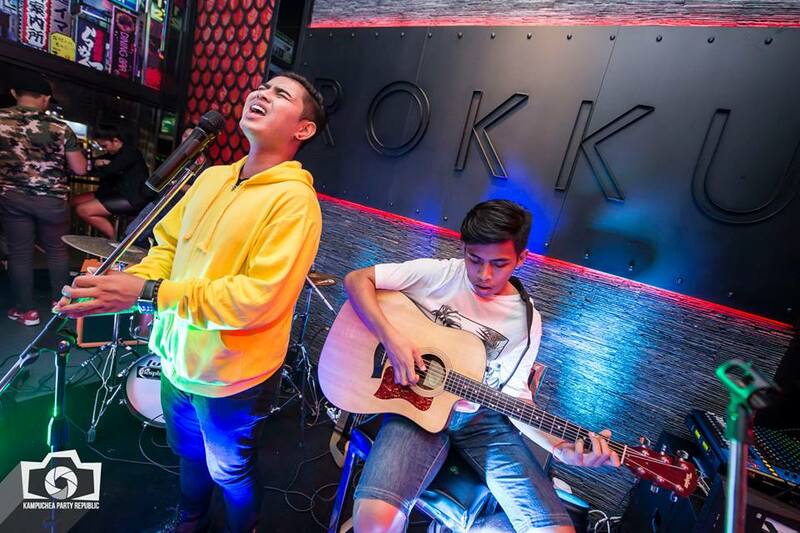 Having a downer after the weekend, join us for Monday Night Blues and enjoy Buy 2 Get 1 on blue Cocktails and enjoy blues and jazz music all night long. 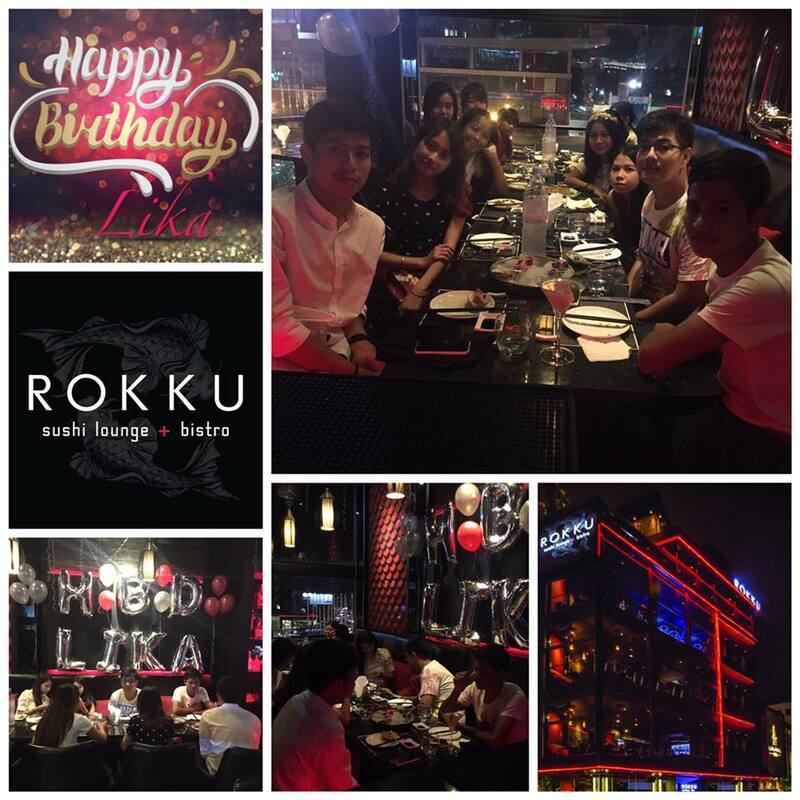 Thank you AIA Group for hosting your party at Rokku. 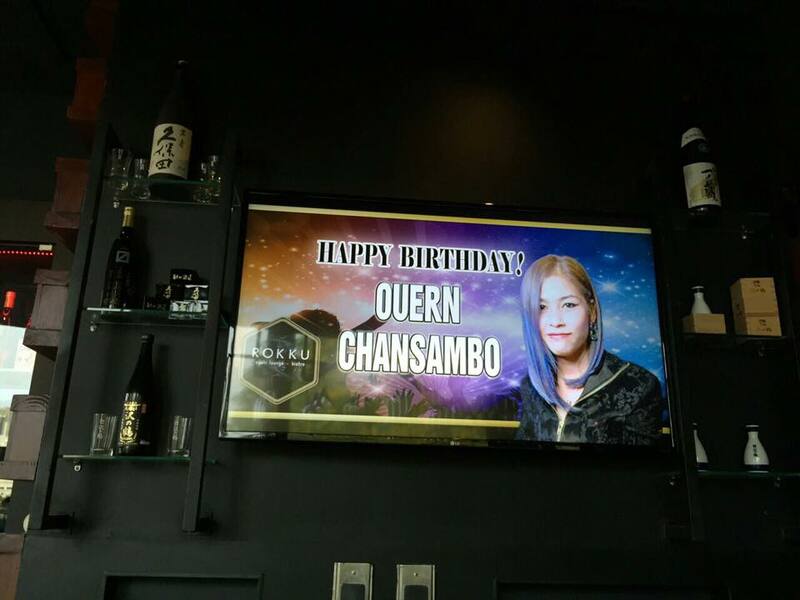 We appreciate it and hope to have you back soon. 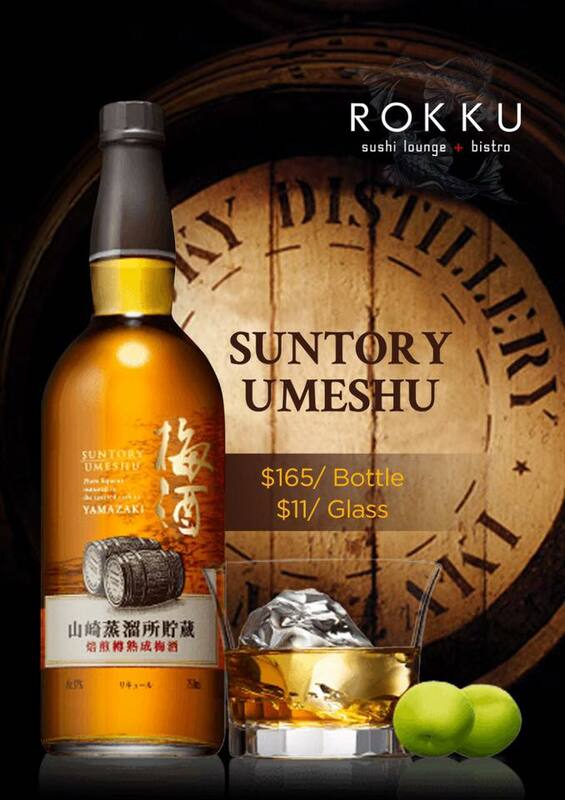 Have a taste of the New Suntory Umeshu casked in Yamazaki Whisky barrels. 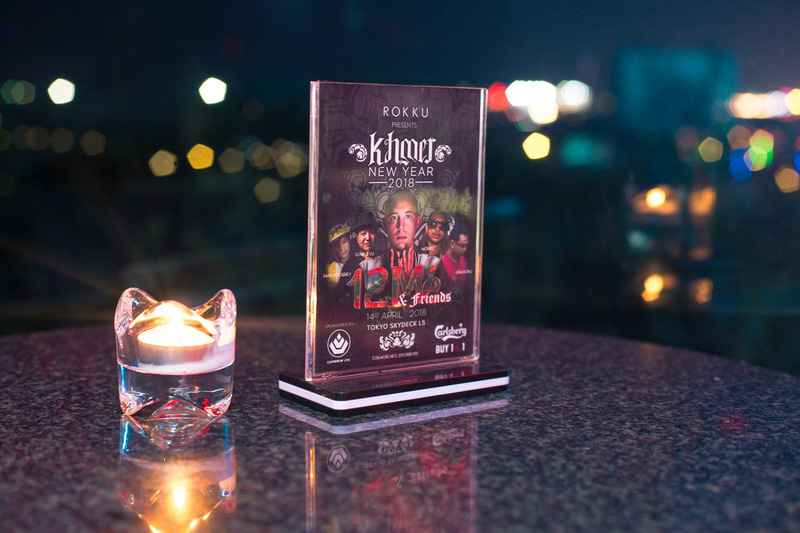 Only available at Rokku! 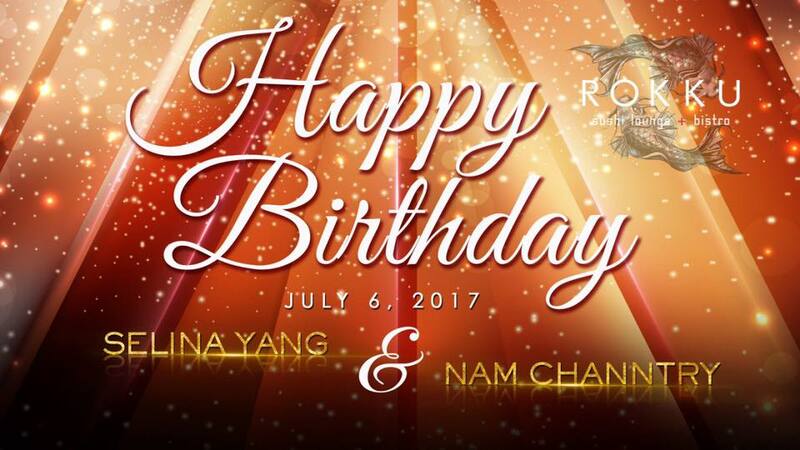 Dear Selina and Channtry, we hope you had a very Happy Birthday! 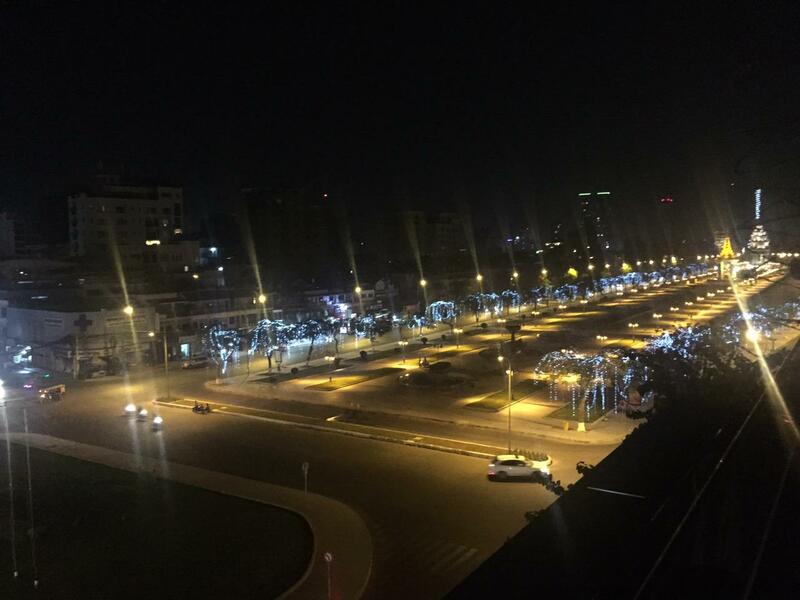 See you again soon. 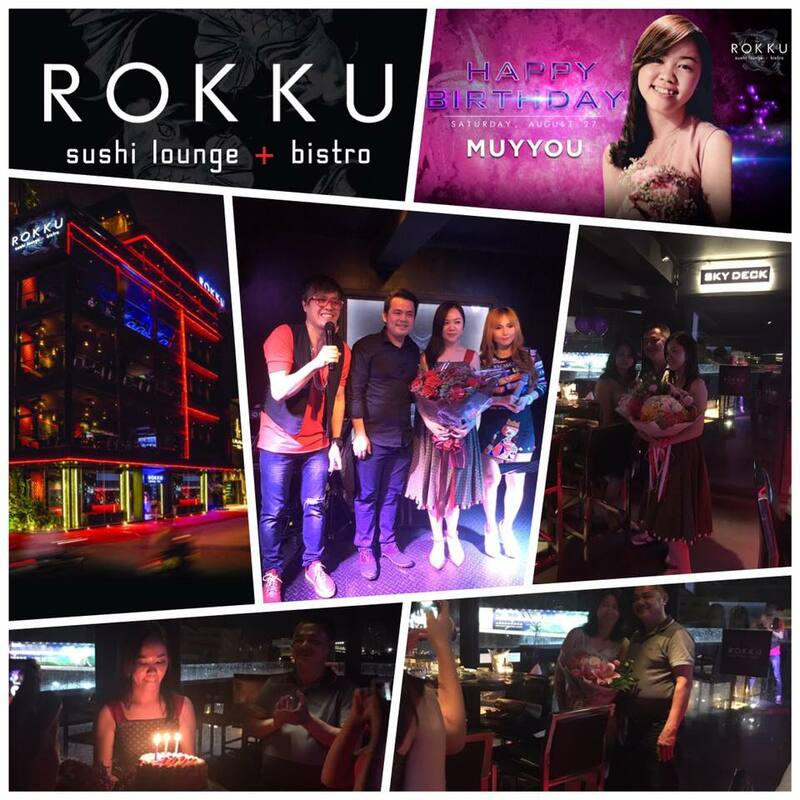 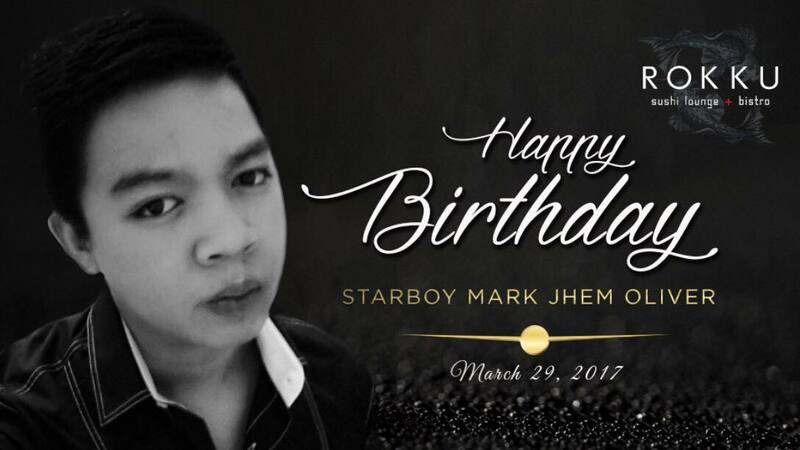 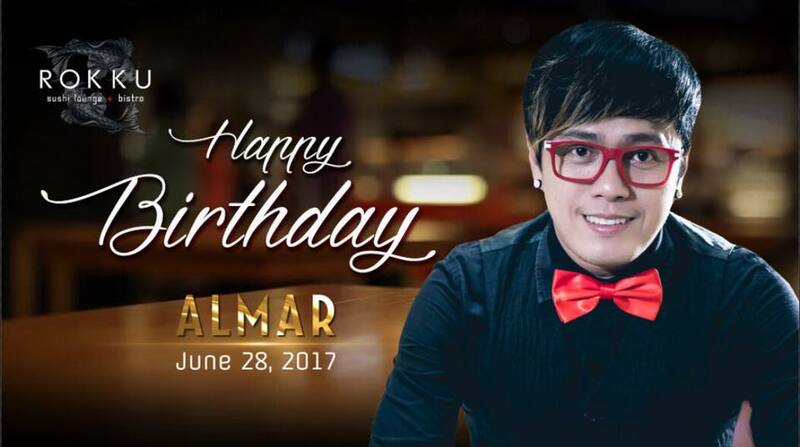 We hope you had an unforgettable birthday at Rokku Almar! 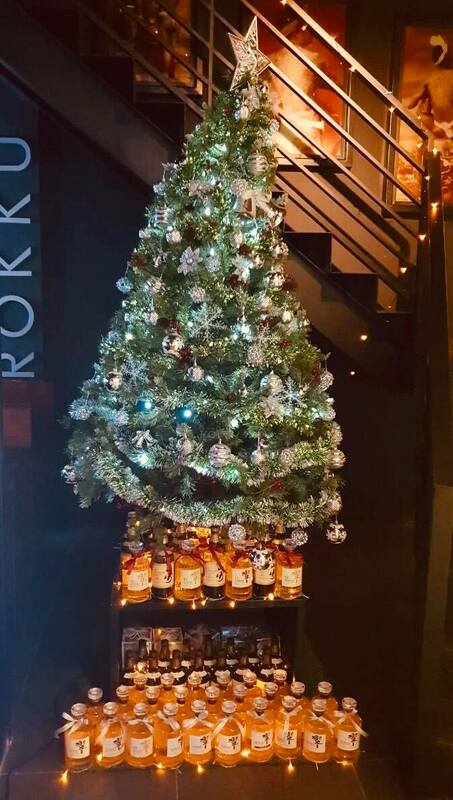 Let's do it again next year! 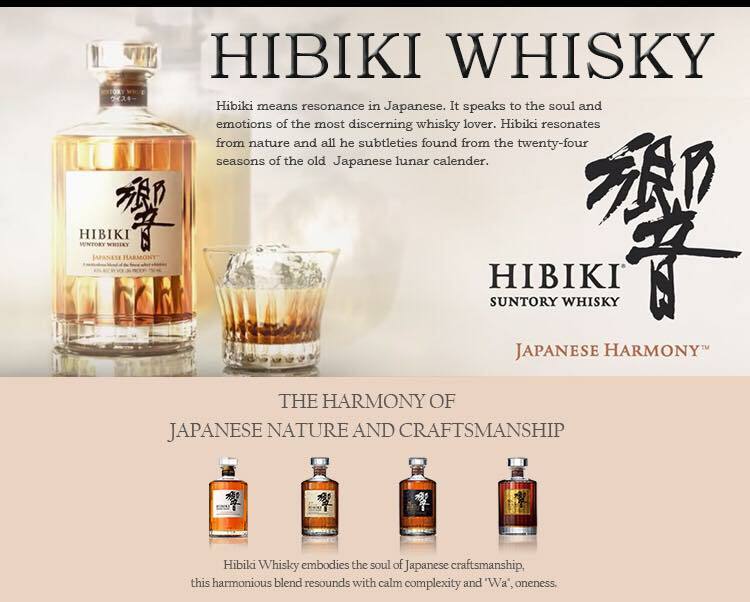 Experience the harmony of Hibiki Whisky at Rokku. 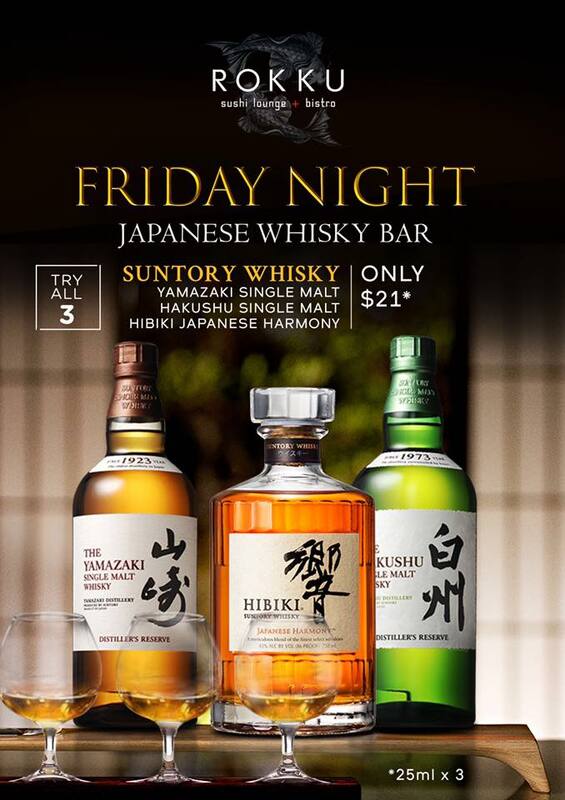 Now available ~ 21 Year, 17 Year, 12 Year and Japanese Harmony. 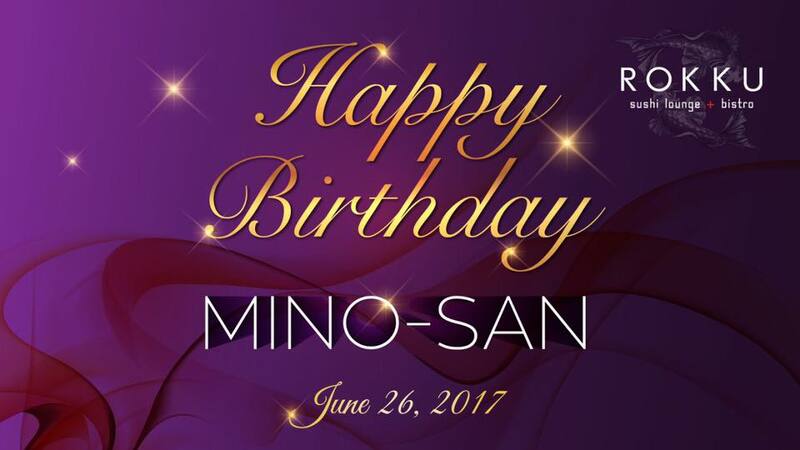 Dear Mino-San, thank you again for celebrating your birthday at Rokku! 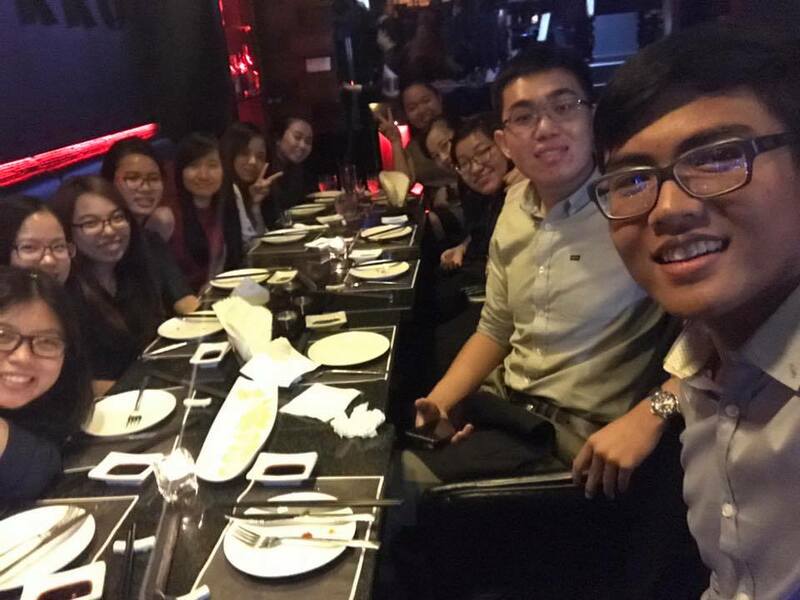 We hope you join us again soon. 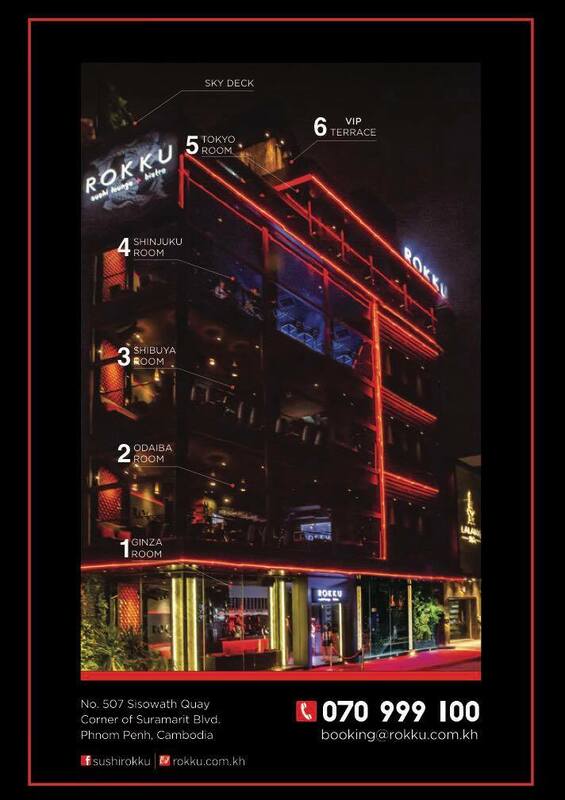 Rokku ~ 6 levels for your dining and entertainment pleasure. 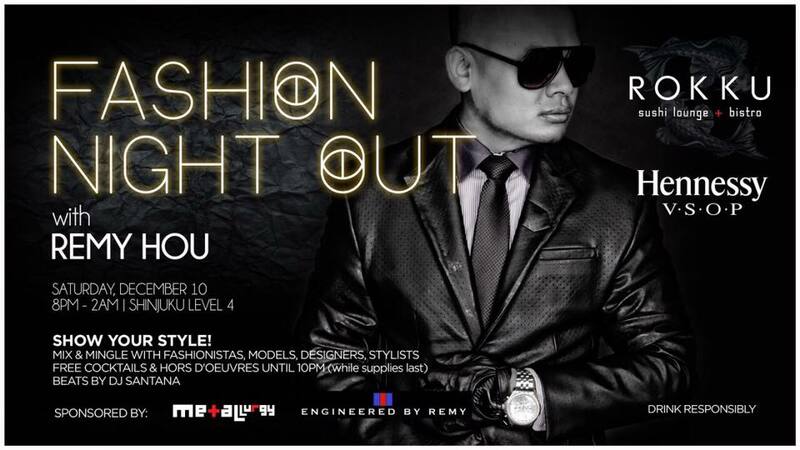 Come experience it! 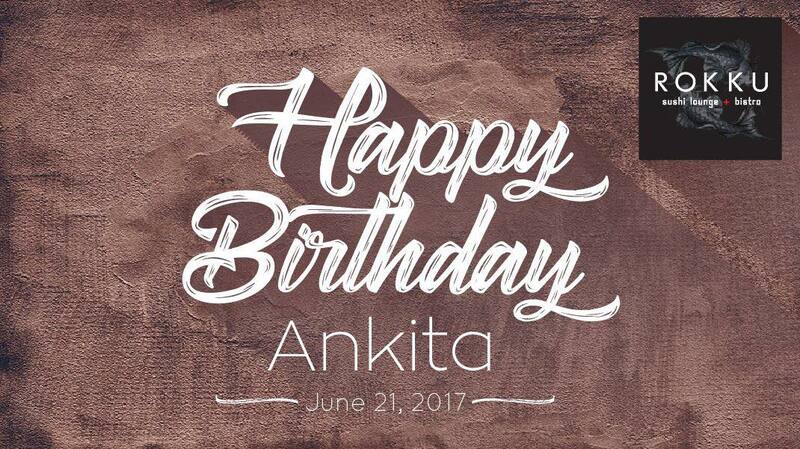 Dear Ankita, thank you for celebrating your birthday at Rokku. 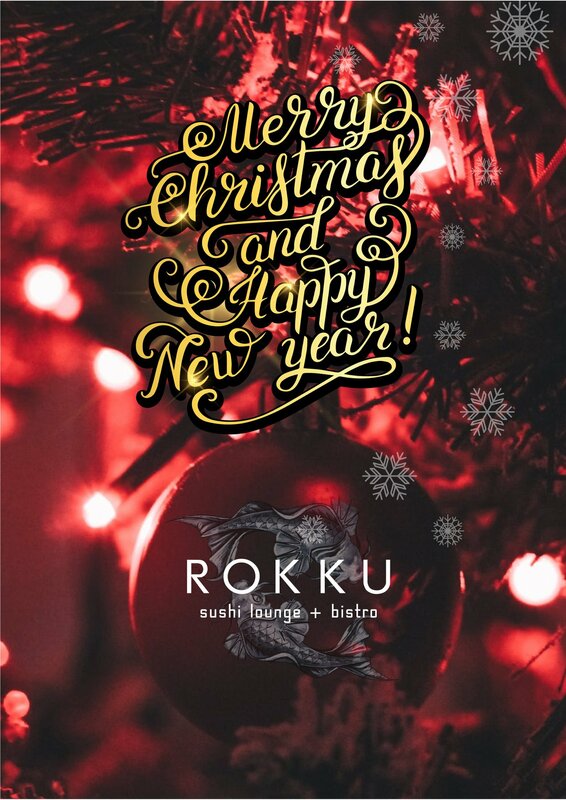 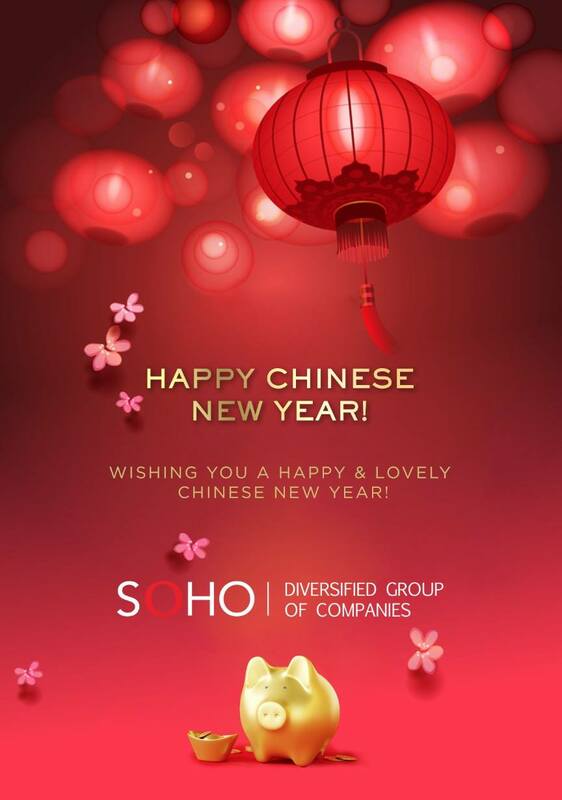 We hope you had a wonderful time with your friends and family. 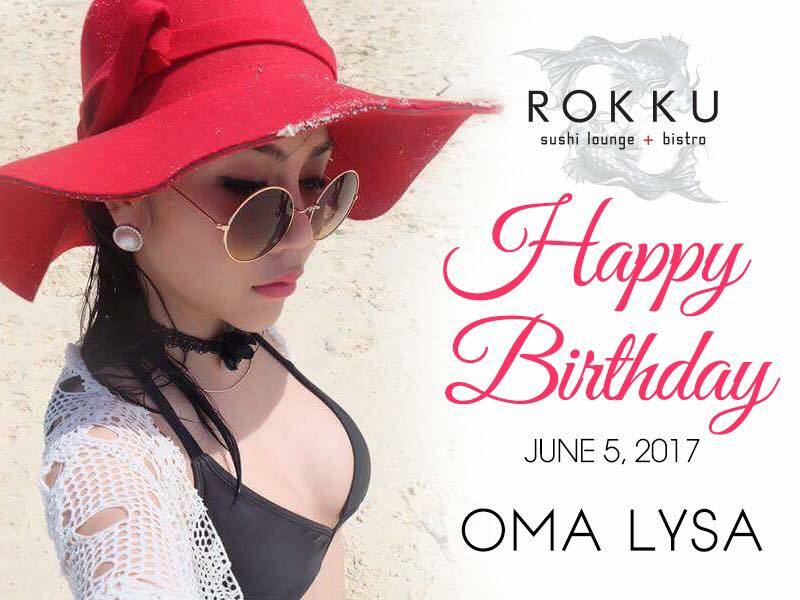 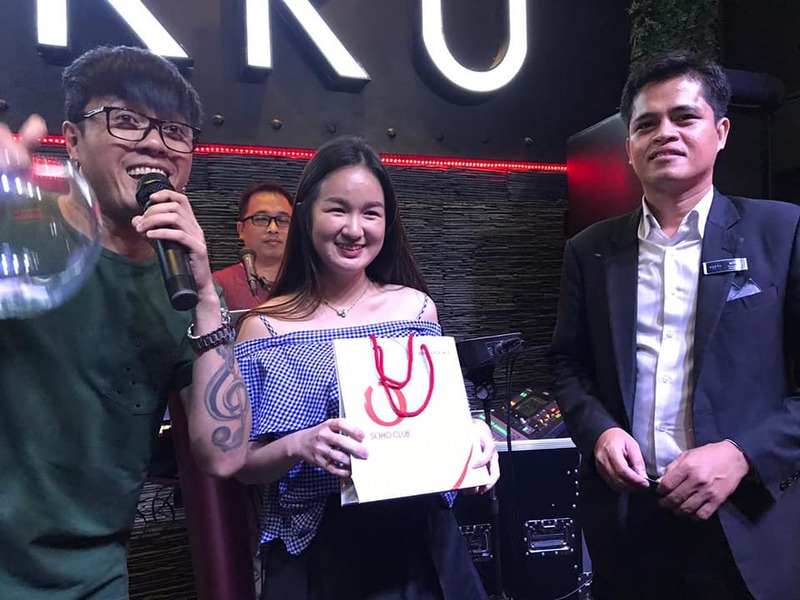 Dear Ms. Oma Lysa - Thank you for celebrating your birthday at Rokku! 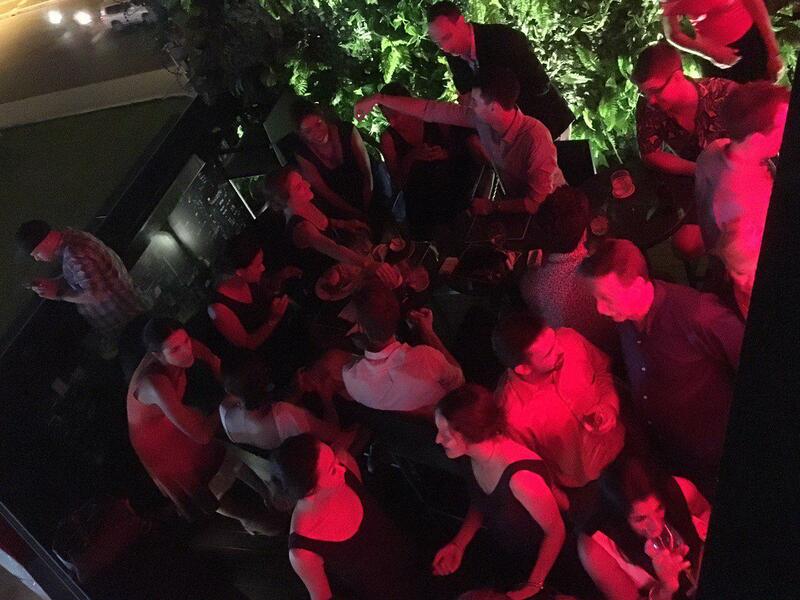 We hope it was a night you won't ever forget. 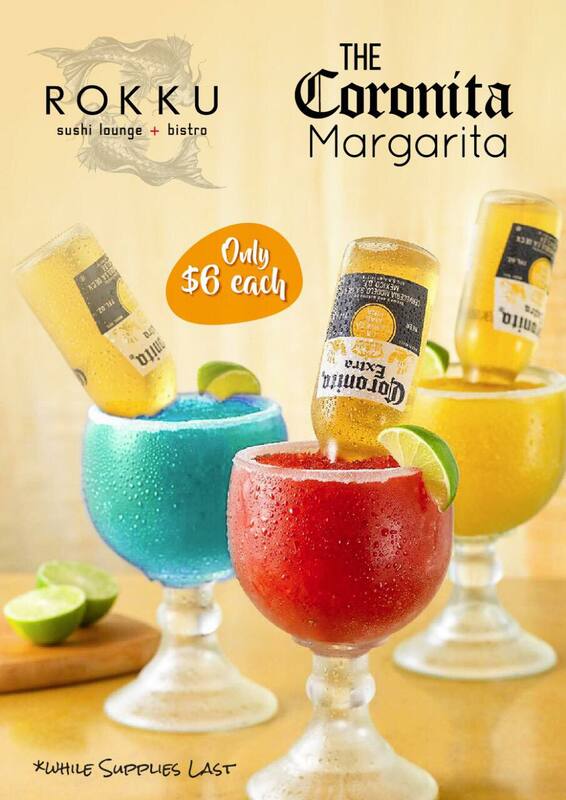 Now offering the Coronita Margarita at Rokku ~ only $6 and the perfect size to enjoy one or even two! 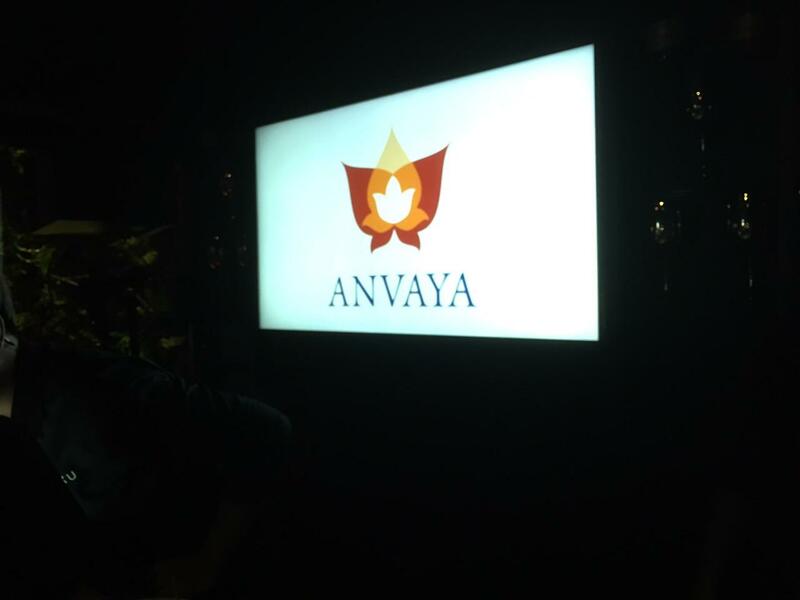 Available nightly while supplies last. 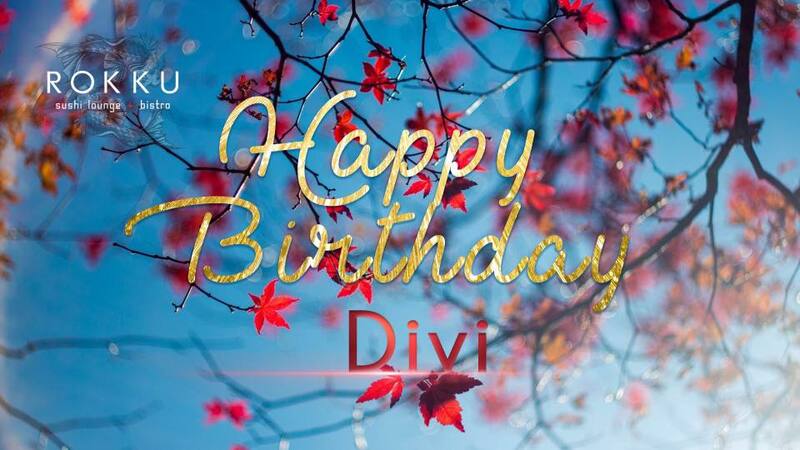 Dear Piya, we wish you a wonderful and memorable birthday. 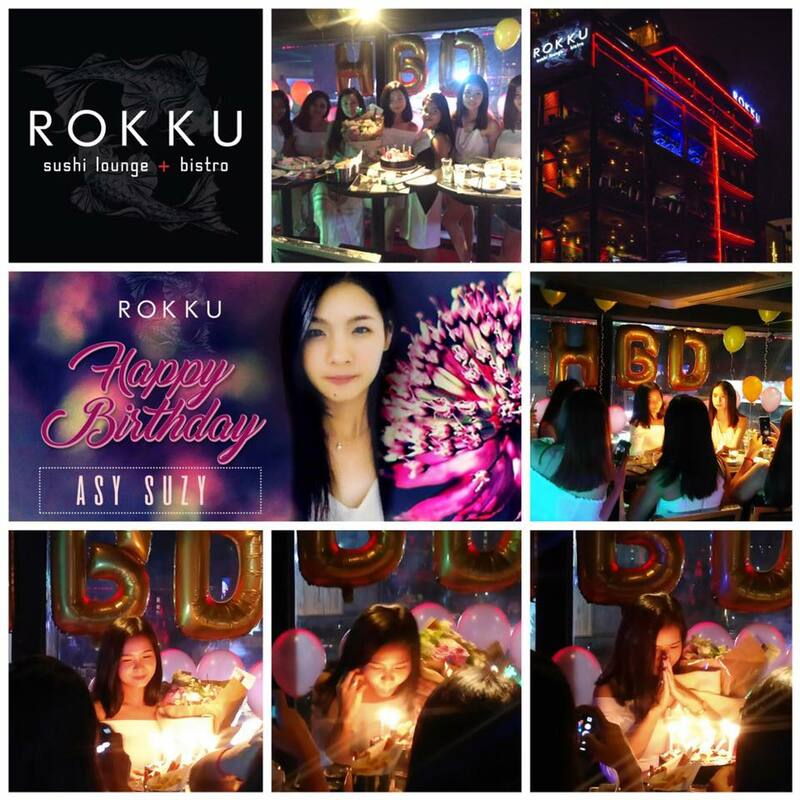 Thank you for celebrating it at Rokku! 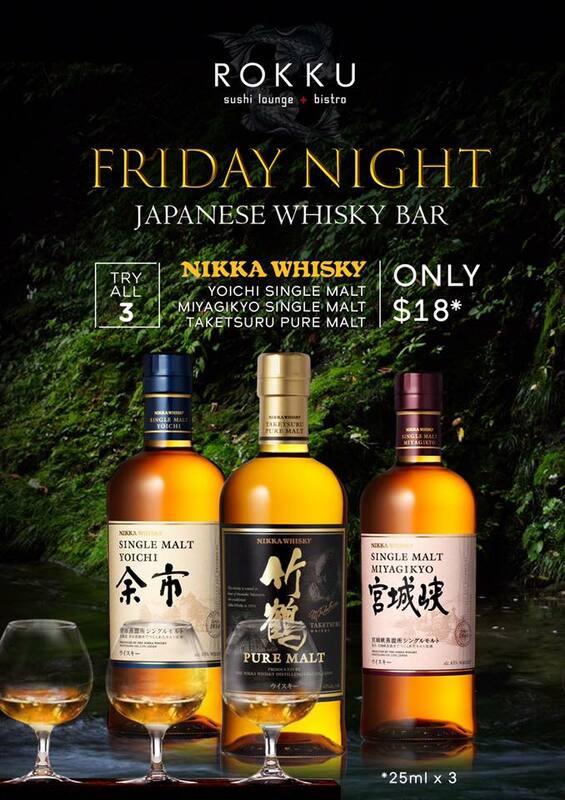 Celebrate this KNY with some premium Japanese whisky. 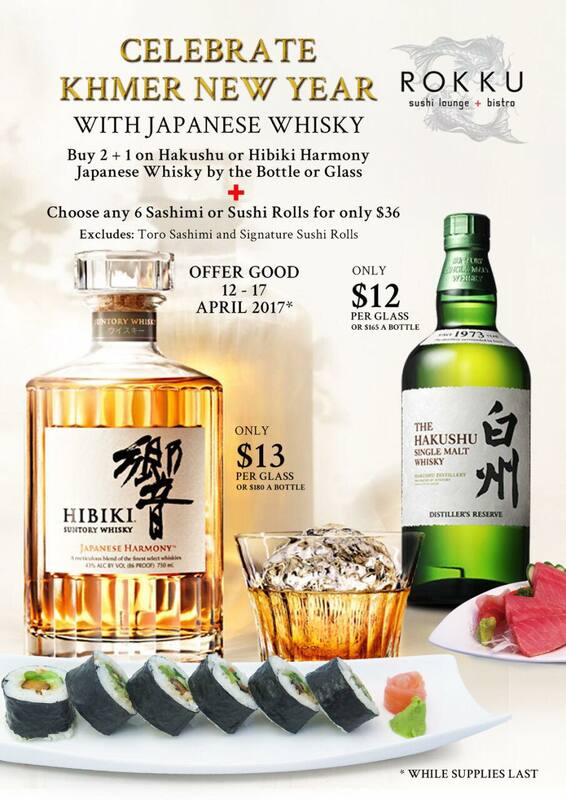 Now for a limited time ~ Buy 2 + 1 on Hakushu or Hibiki Harmony and Choose any 6 Sashimi and Sushi Rolls for only $36. 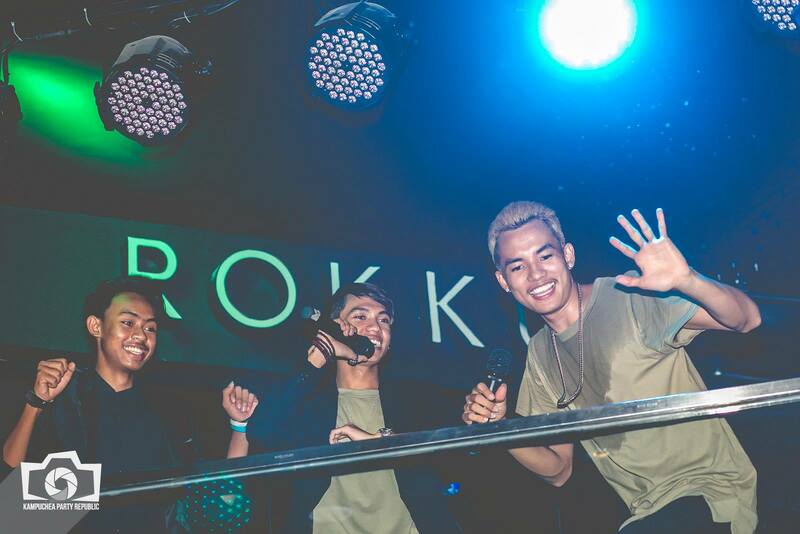 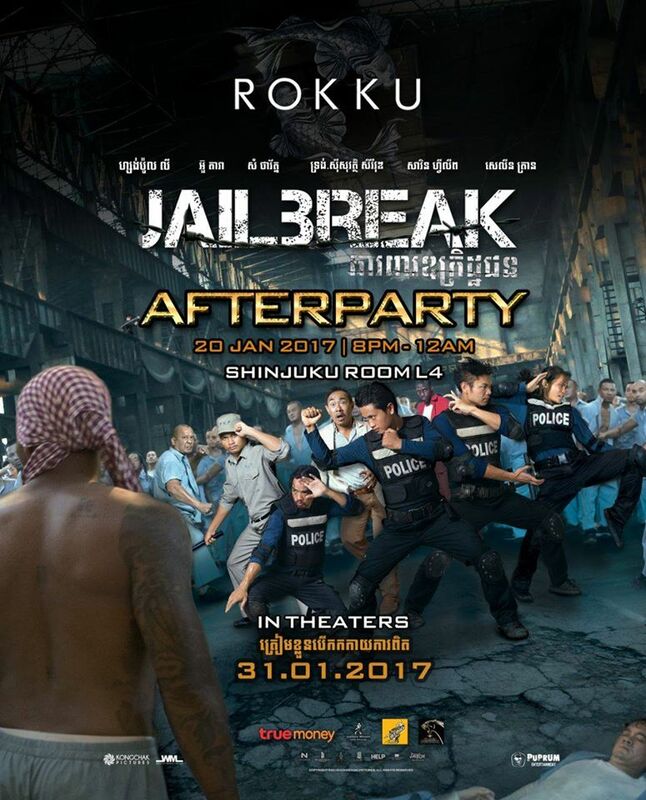 Special thanks to WML for throwing their Jailbreak gala afterparty at Rokku! 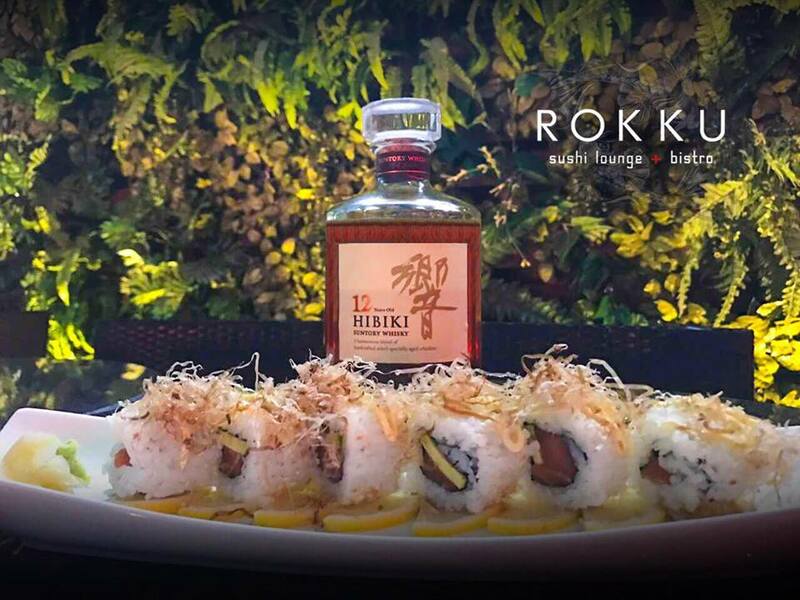 The harmonious Hibiki 12 Year with the Sunset Roll is a match made at the Rokku Tokyo Skydeck. 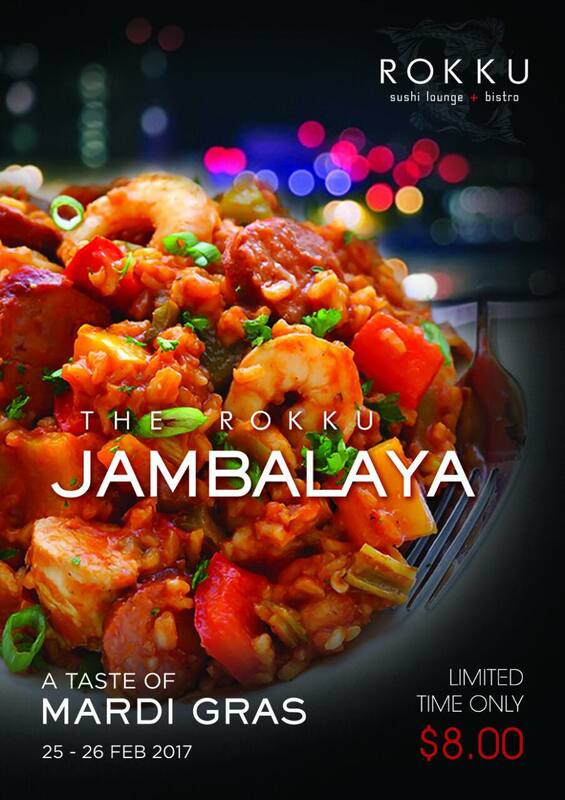 Jambalaya, dish of Louisiana origin of Spanish and French influence, consists of spicy sausages and shrimp and vegetables mixed with rice ~ nice and spicy. 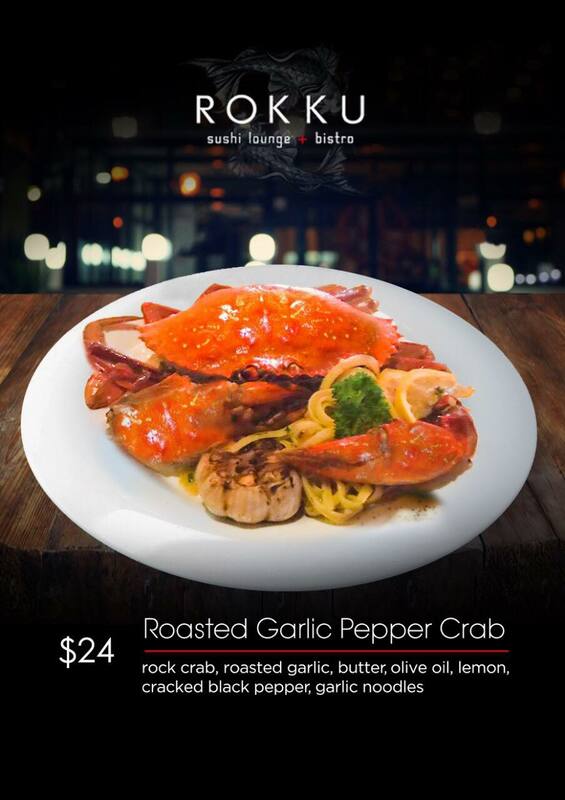 Introducing the all NEW Roasted Garlic Pepper Crab only at Rokku! 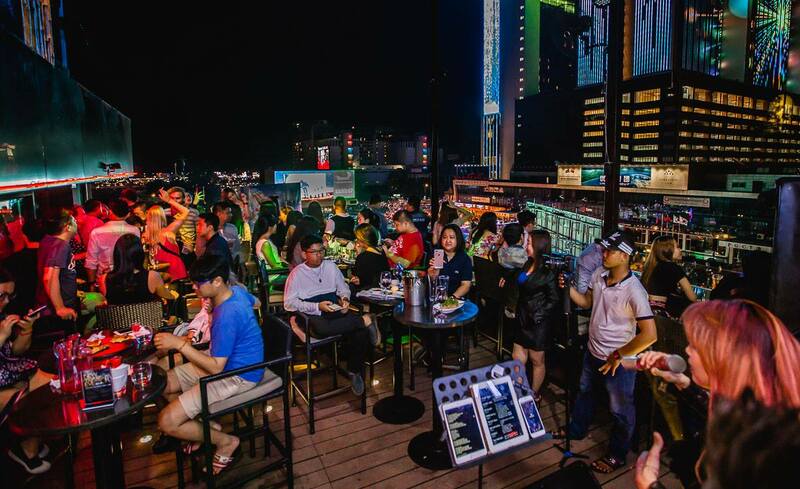 Now available every night from 5pm - 11pm. 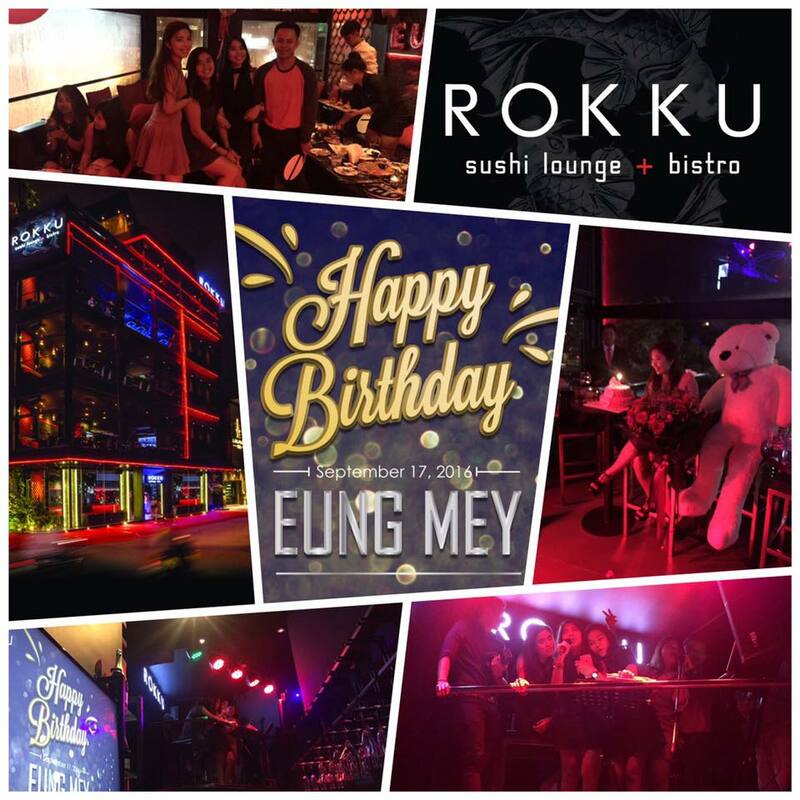 Call 070 999 100 or visit www.rokku.com.kh for booking. 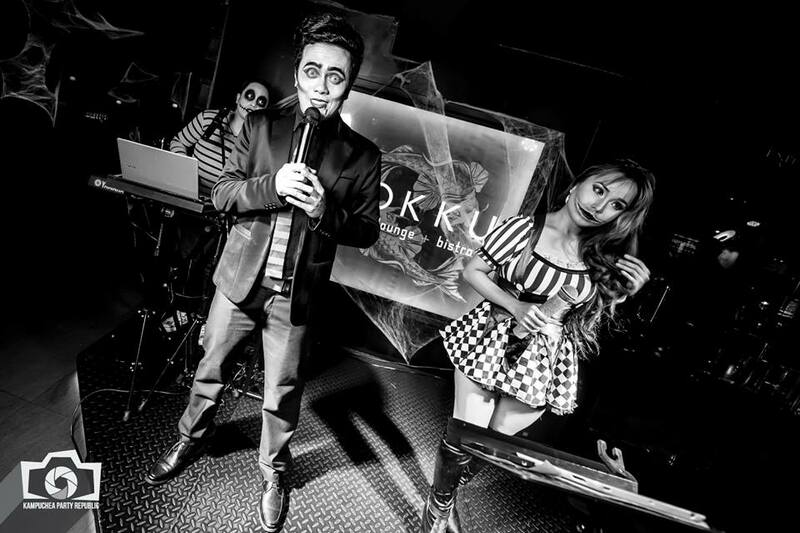 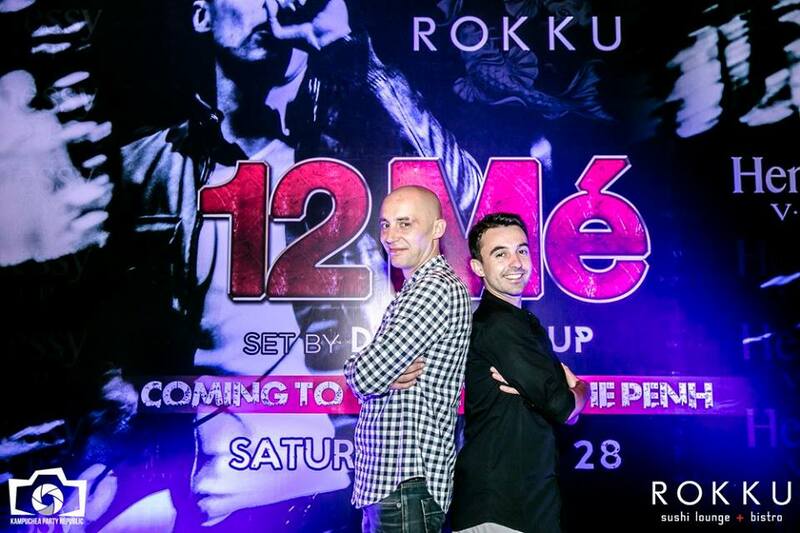 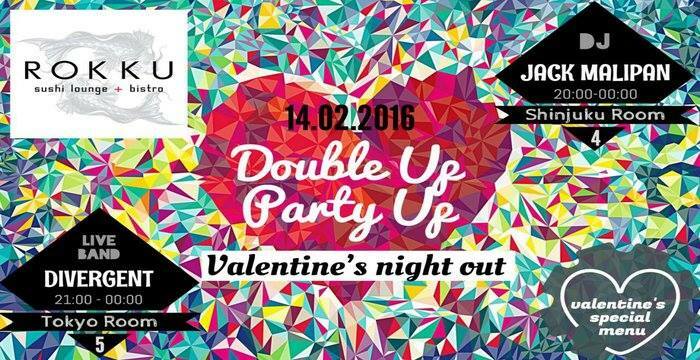 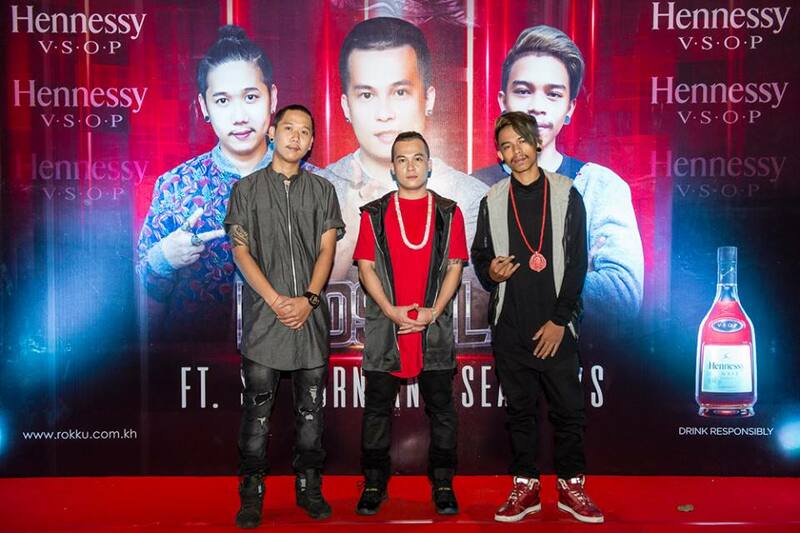 14th Feb 2016 ::|: ROKKU X DOUBLE UP ~ PARTY UP X VDAY WEEKEND :|:: Rokku is celebrating VALENTINE'S DAY with a party you won’t forget bringing you excitement on every level for your dining and entertainment pleasure. 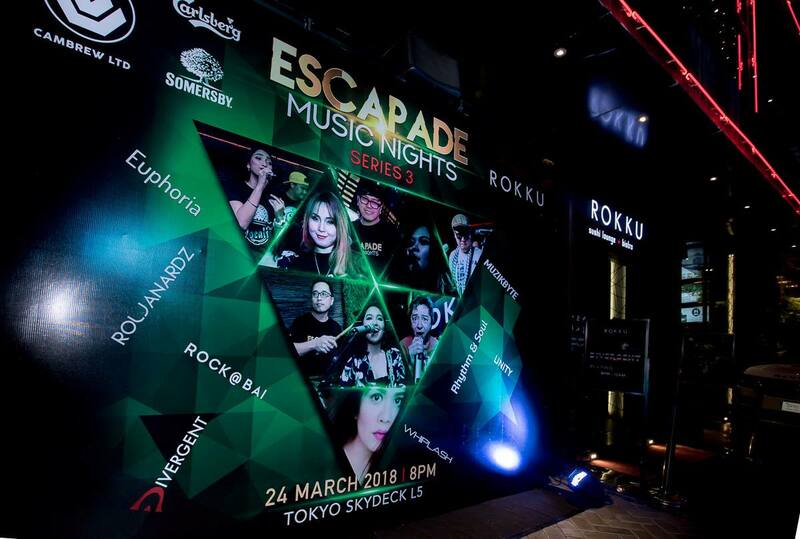 On February 14th, come and enjoy Divergent Band at the Tokyo Room and DJ Jack Malipan at Shinjuku Room bringing you good vibrations all night long. 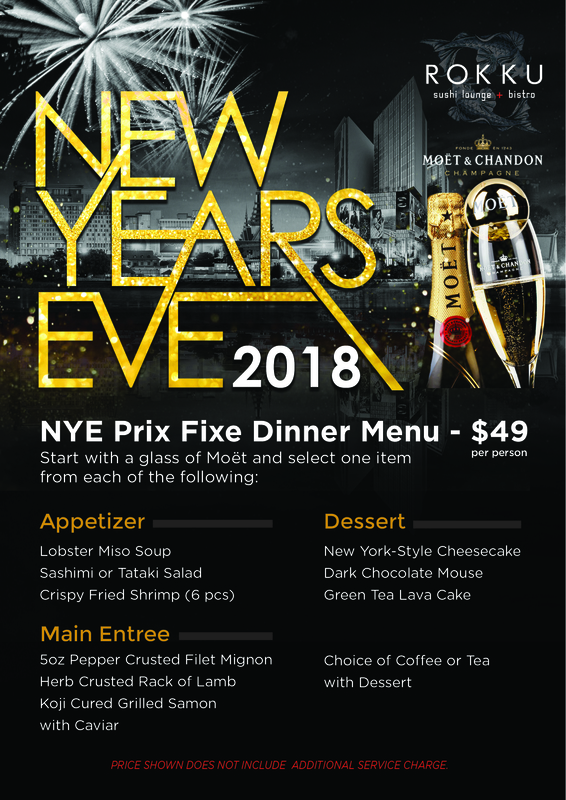 Special Valentine's Day Prix Fixe menu featuring complimentary Champagne by Moet & Chandon. 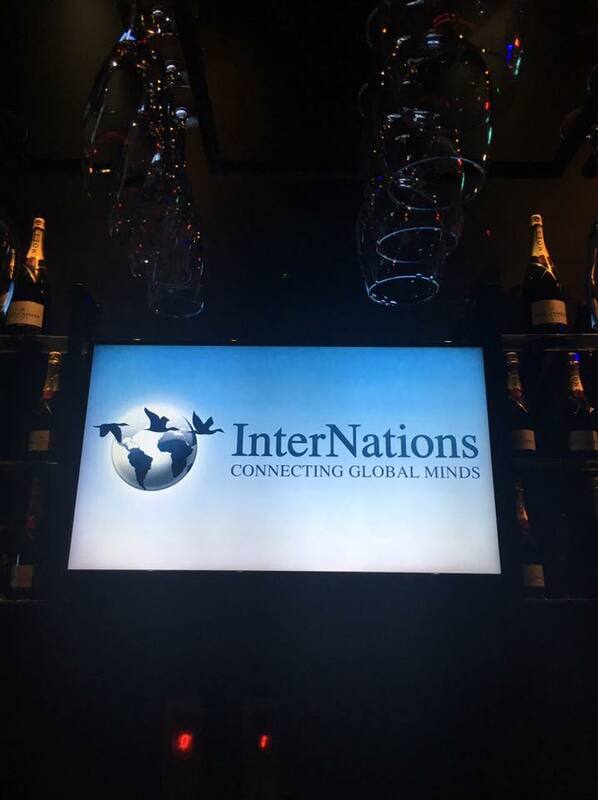 Contact us for early booking and ask about our VIP Membership programme. 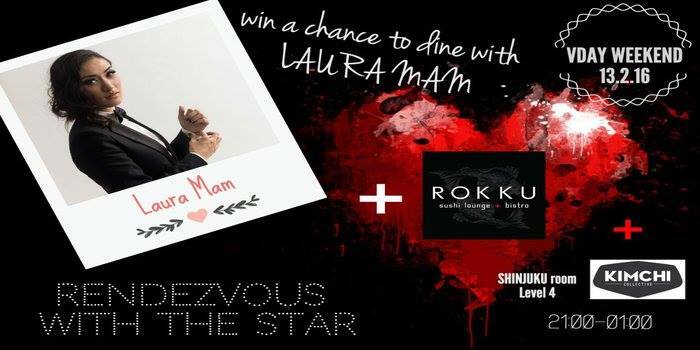 "RENDEZVOUS WITH THE STAR" Come to Rokku on February 13th to enjoy Laura Mam's VDay Weekend performance and a chance to win a dinner with her. 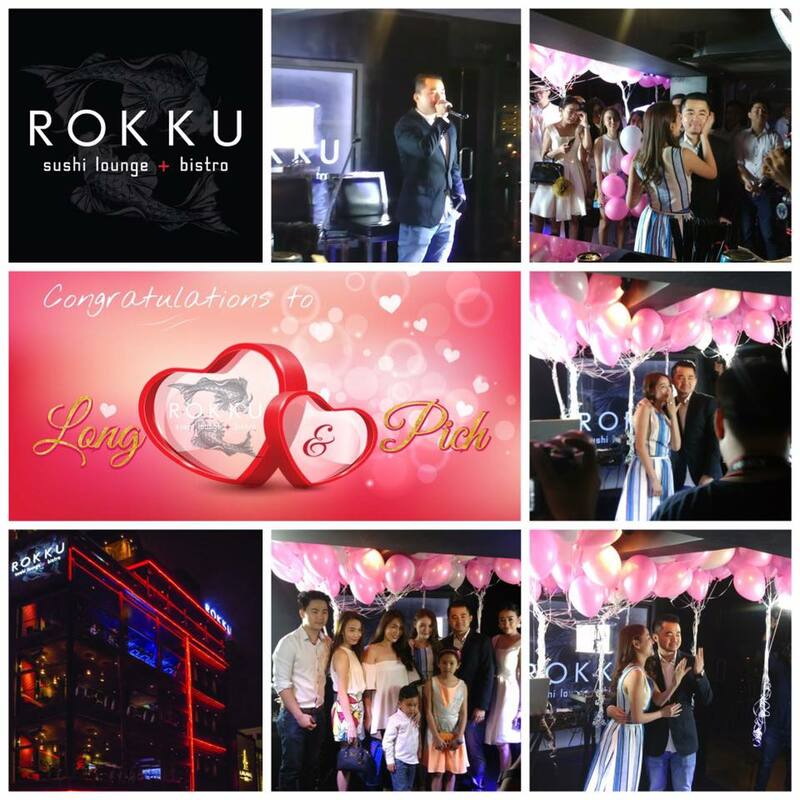 2 Lucky individuals will win a dinner with Laura and enjoy Rokku's Special Valentine’s Dinner Menu on February 14th. 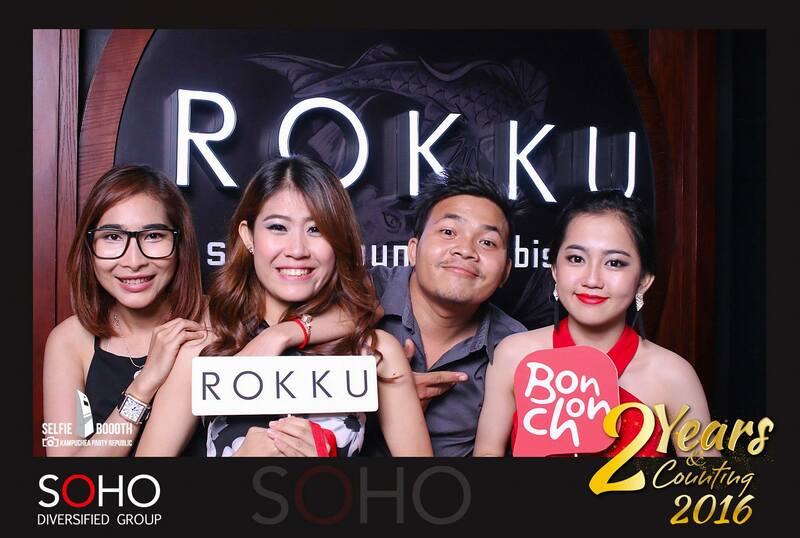 HOW TO WIN ~ Come to Rokku on Feb 13th and take a selfie and post it to your page and tag Rokku. 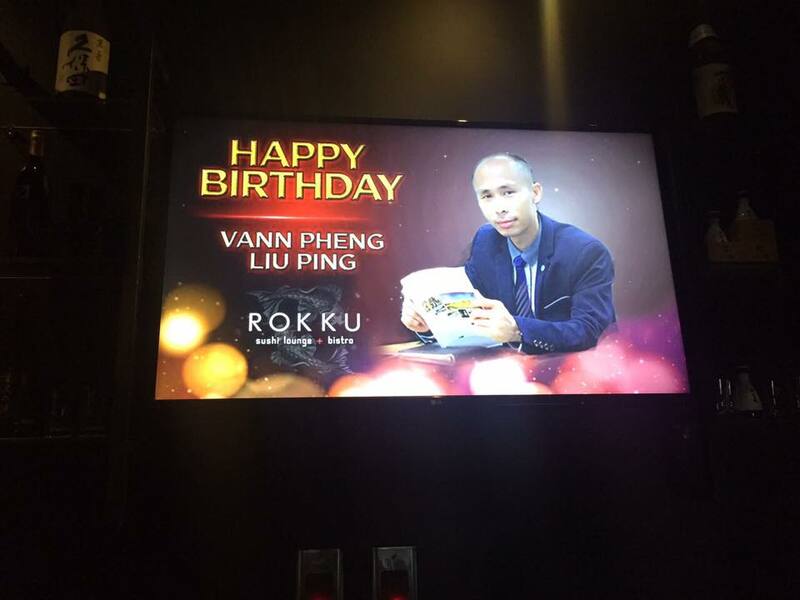 Make sure it's PUBLIC. 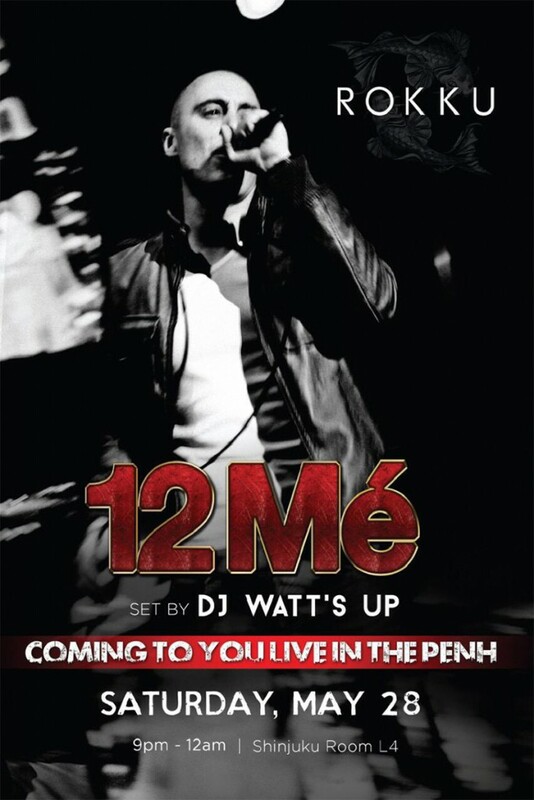 Winners will be contacted through FB on Valentine's Day morning and must confirm availability by 12:00PM.